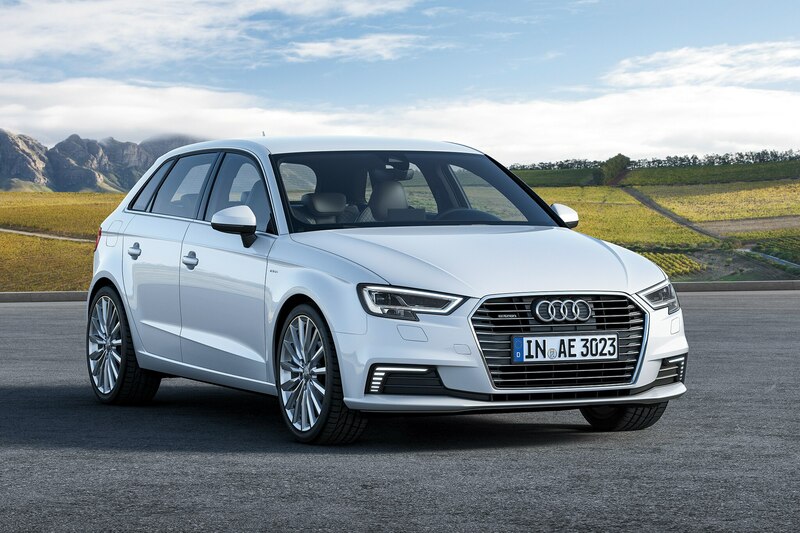 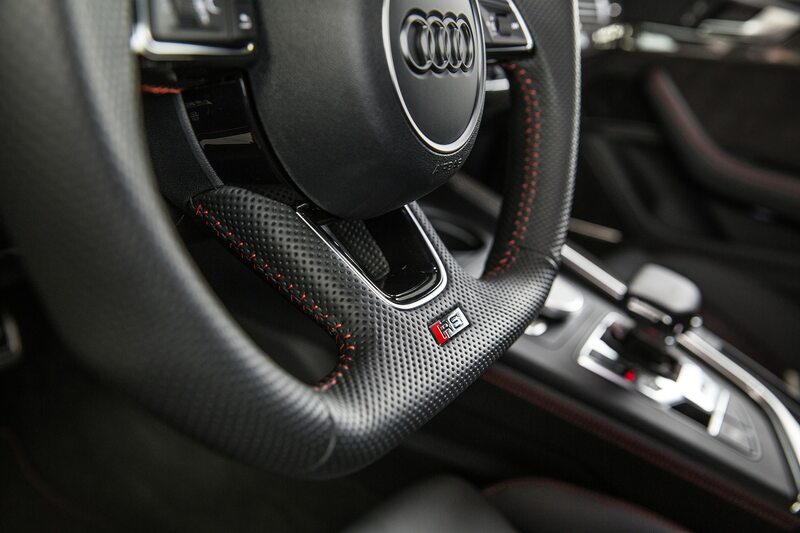 Audi recently rolled out the A3 Sportback e-tron plug-in hybrid, and prior to that the million-dollar R8 e-tron. 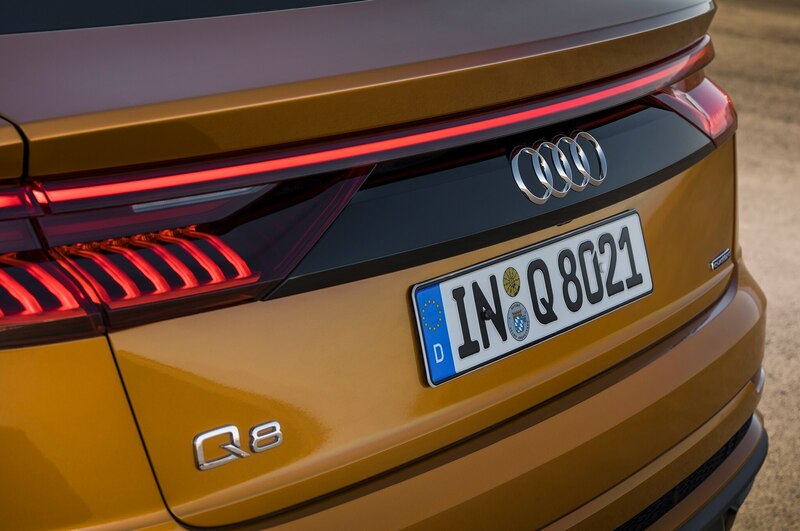 Soon, though, we will see its first true attempts to storm the gates of Tesla with two new electric vehicles: an SUV tentatively called the e-tron Quattro, and the e-tron GT, a swoopy four-door that will use the same VW Group J1 platform as the coming Porsche Taycan. 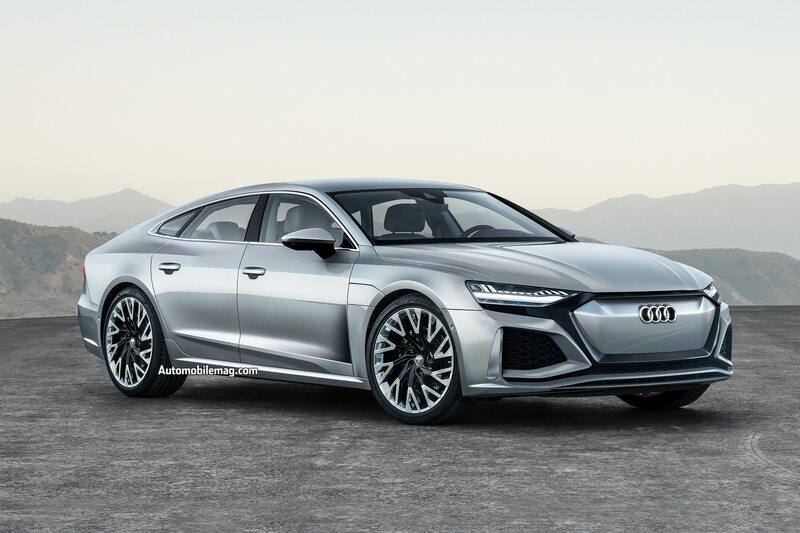 The e-tron GT features electric motors at the front and rear, though it’s possible a cheaper single-motor version will also appear. 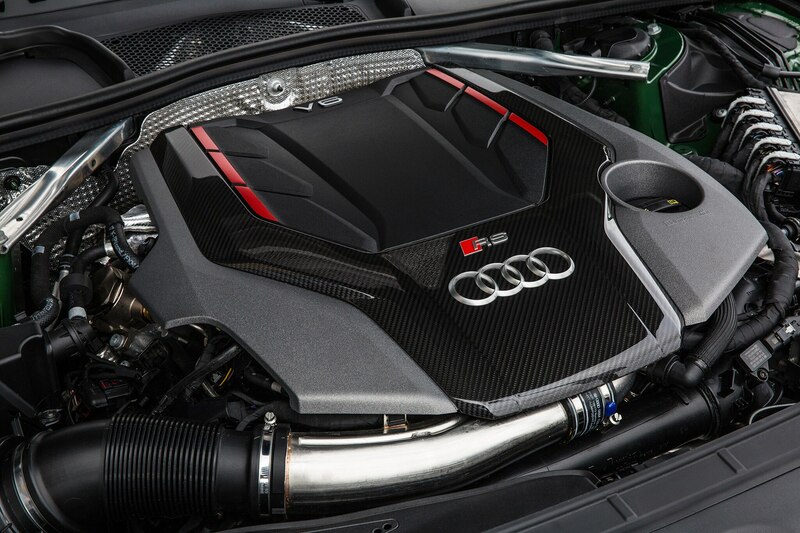 Expect total system power to be 400-450 hp and total range in the 300-mile ballpark. 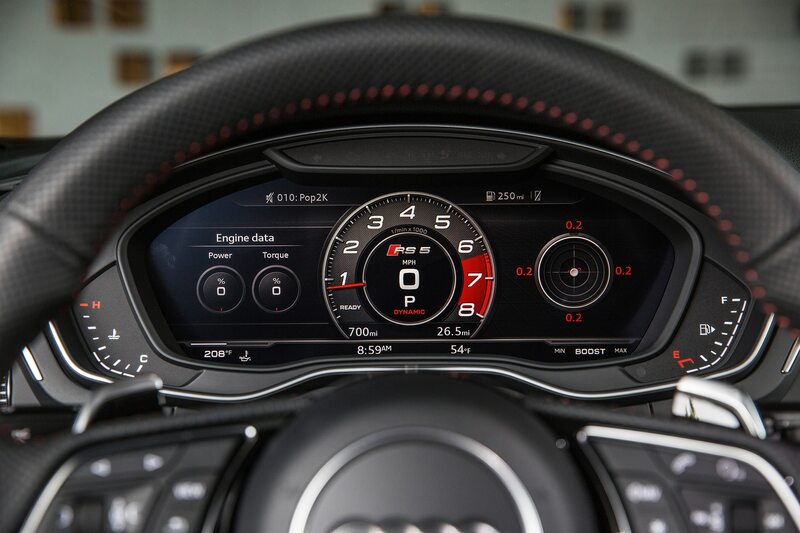 Performance should be about 4.5 seconds to 60 mph. 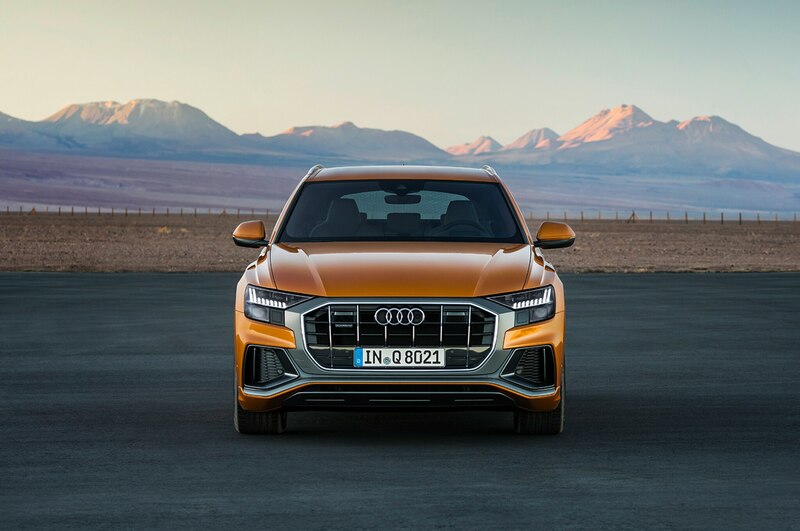 It will, we think, hit the streets in 2021, just after the Quattro SUV, with pricing likely to start around $70,000. 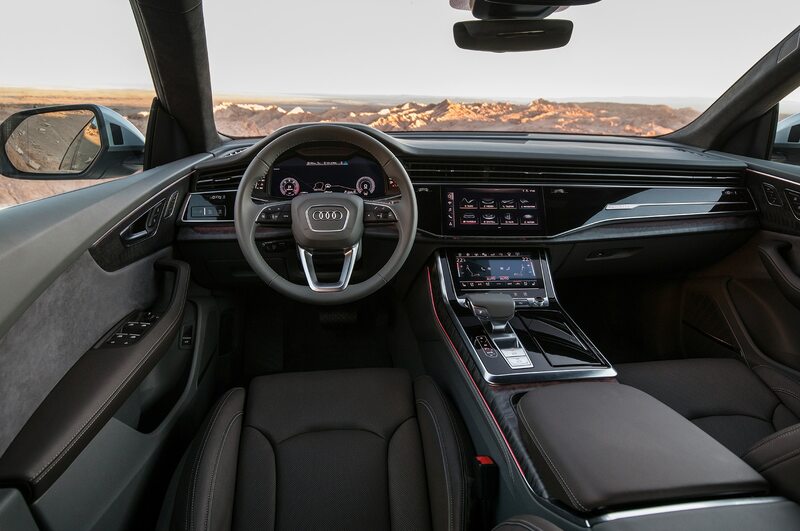 Meanwhile, we just drove the 2019 A6 and found it plenty capable and relaxing. 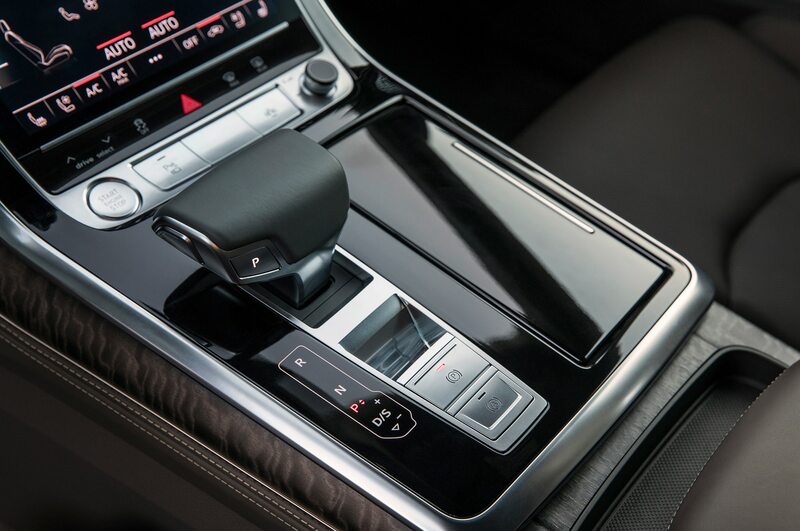 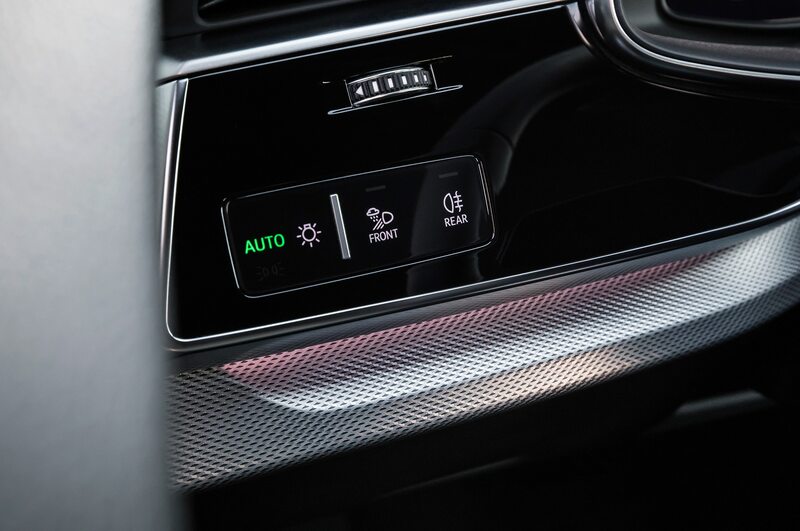 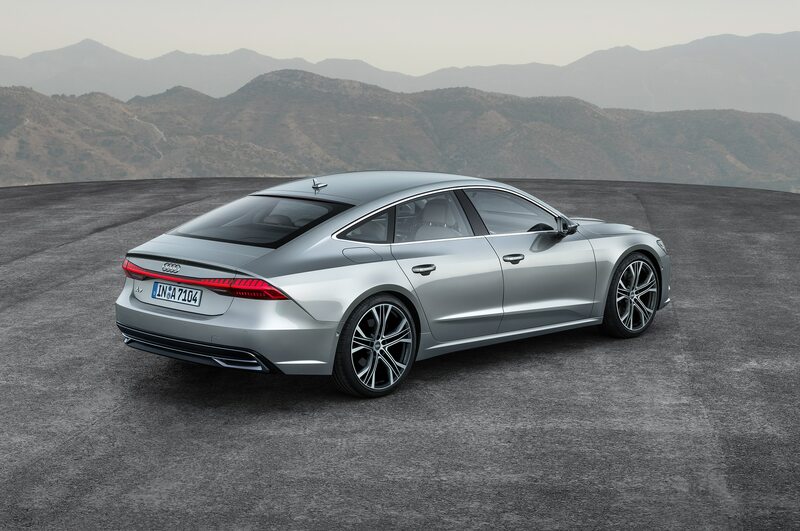 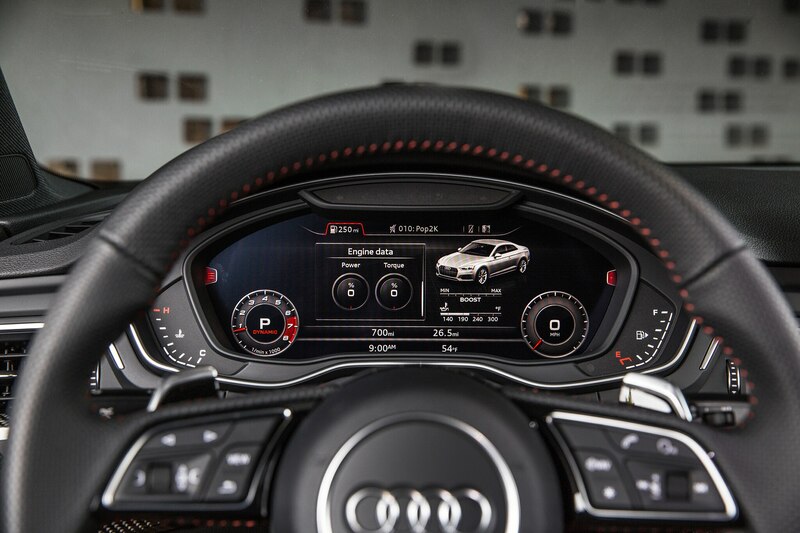 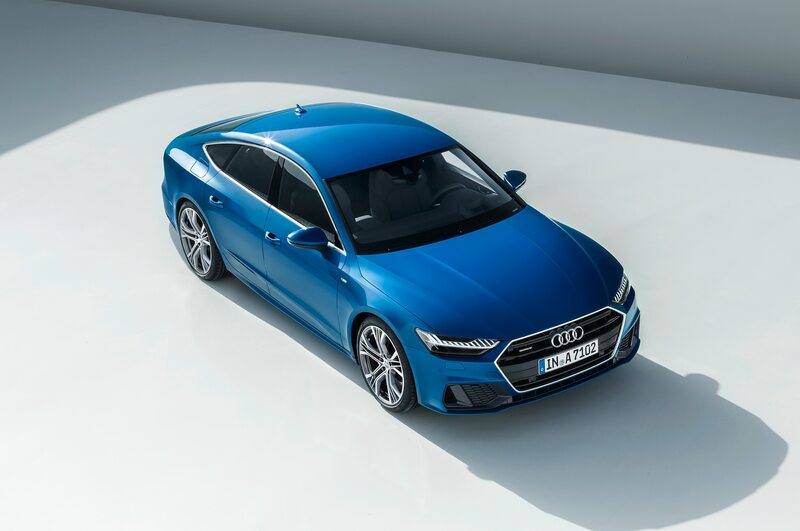 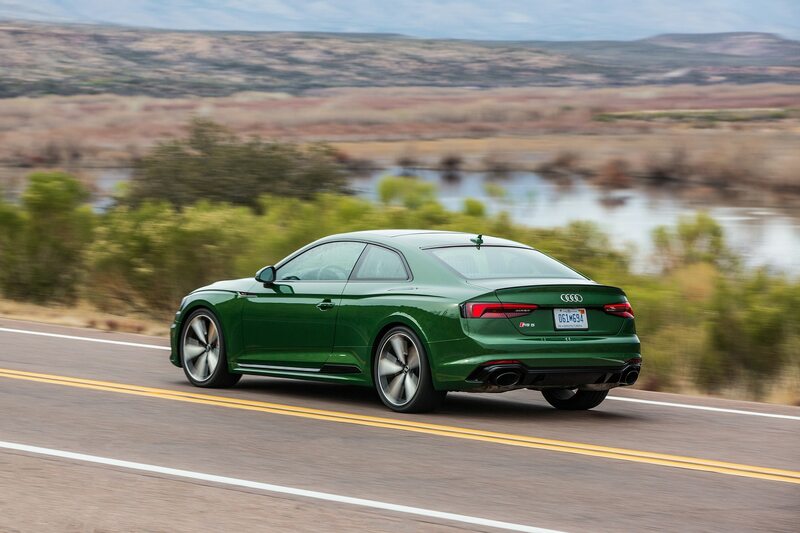 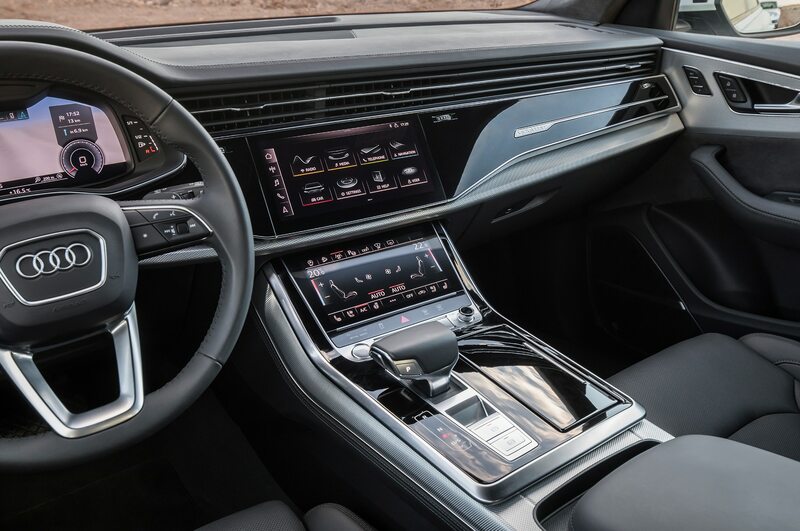 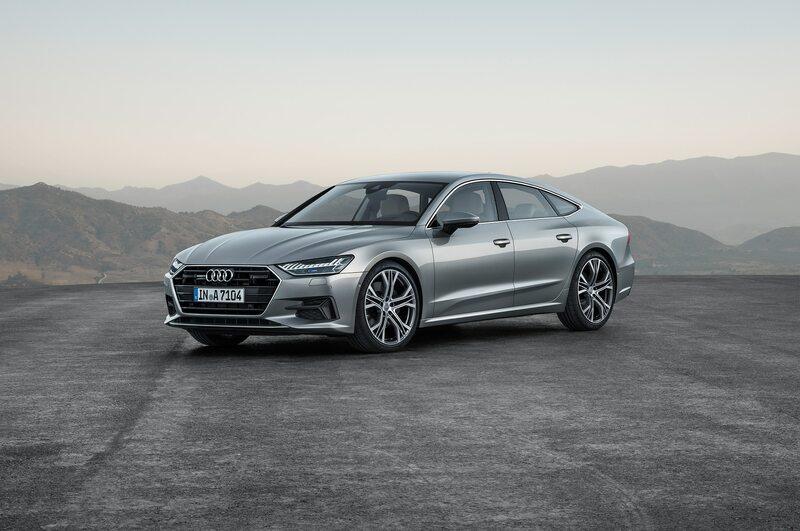 Set to arrive later this year at around $55,000 for the base model, the heavily revised A6 is now available with all of Audi’s latest tech, including its haptic feedback center stack vehicle controls and Virtual Cockpit. 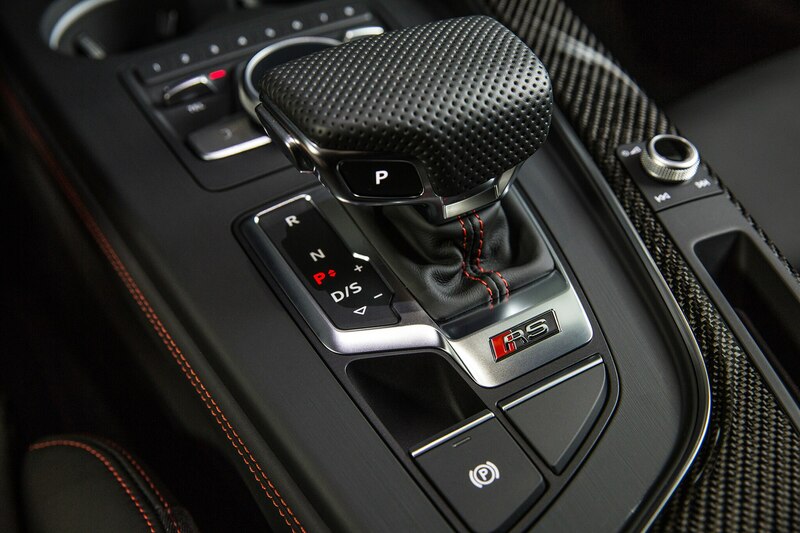 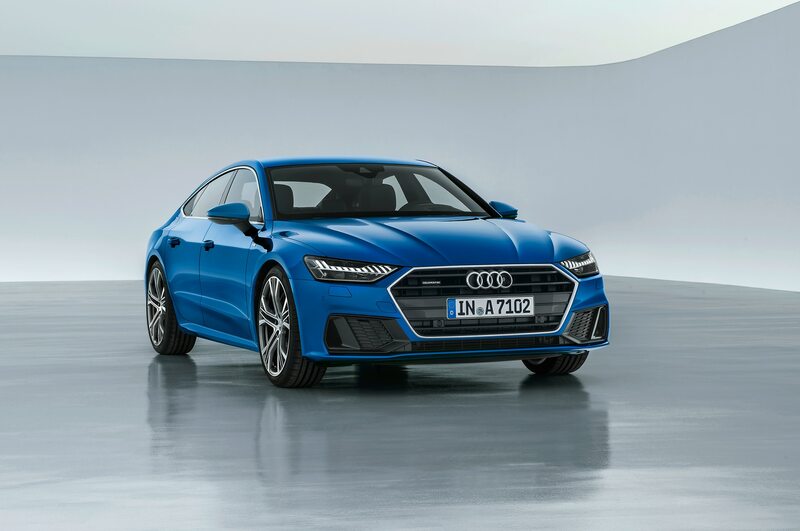 Power comes from a 3.0-liter turbo V-6 with 340 horses mated to a seven-speed dual clutch—augmented by Audi’s 48-volt mild hybrid setup. 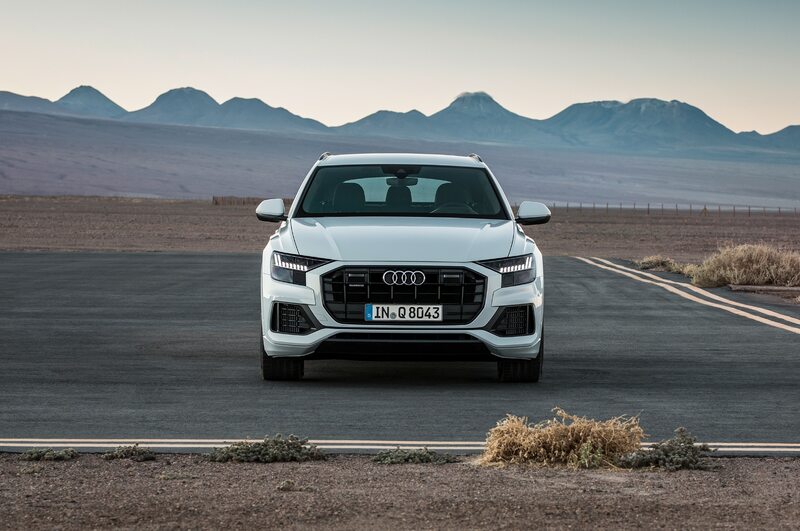 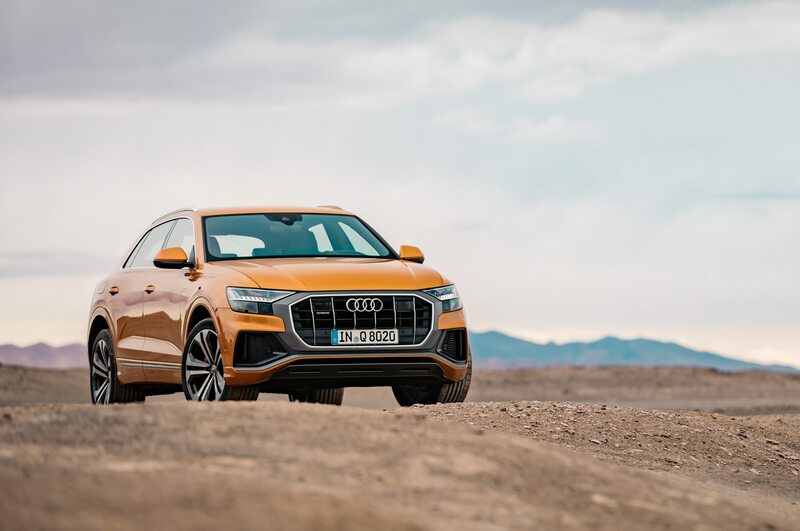 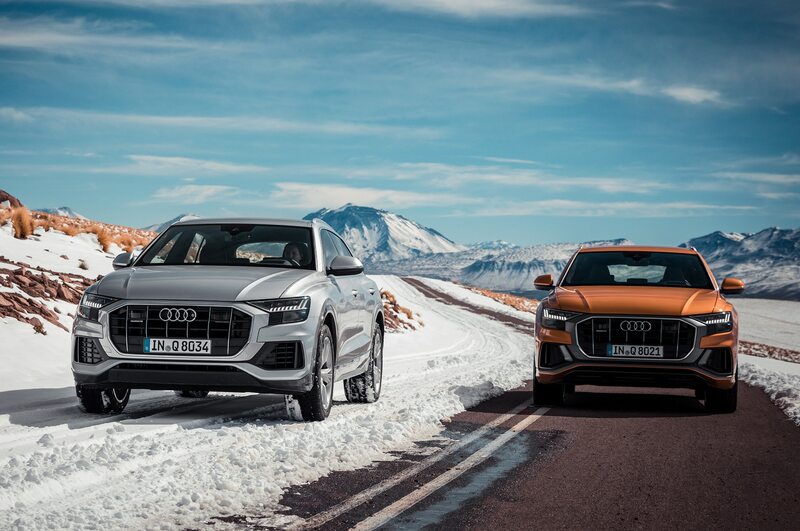 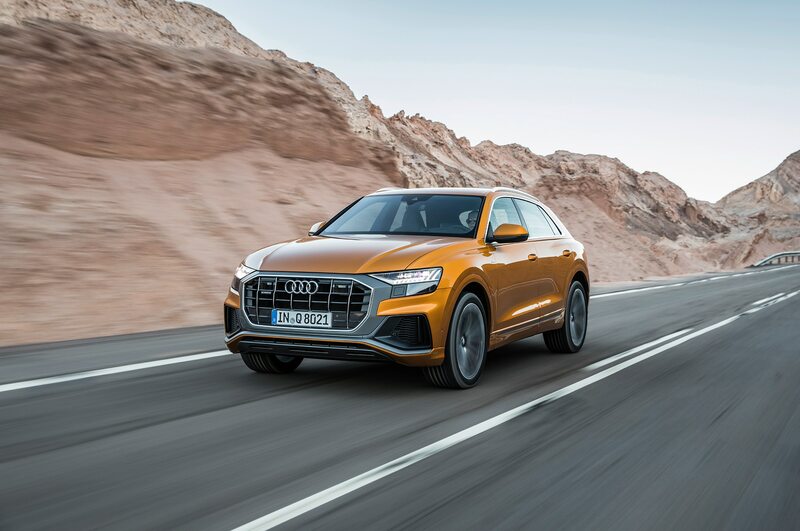 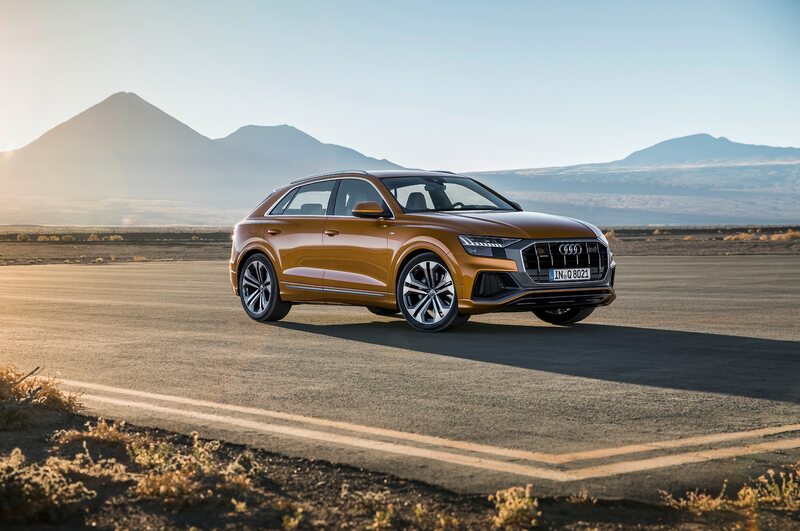 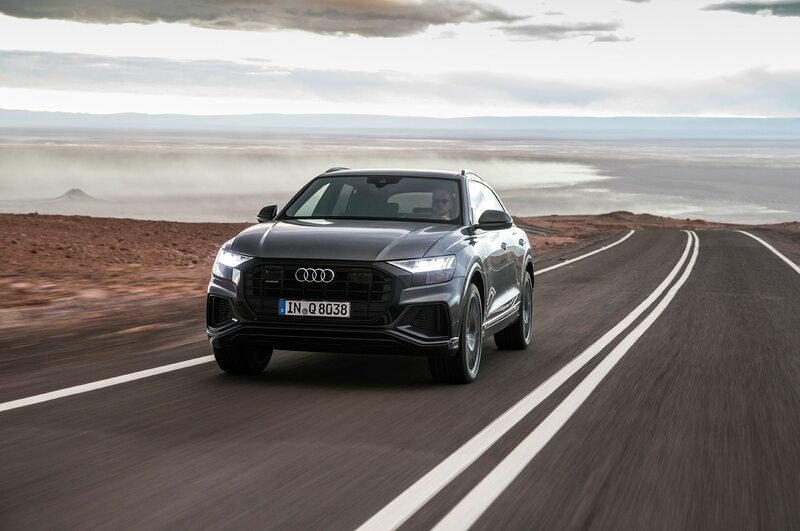 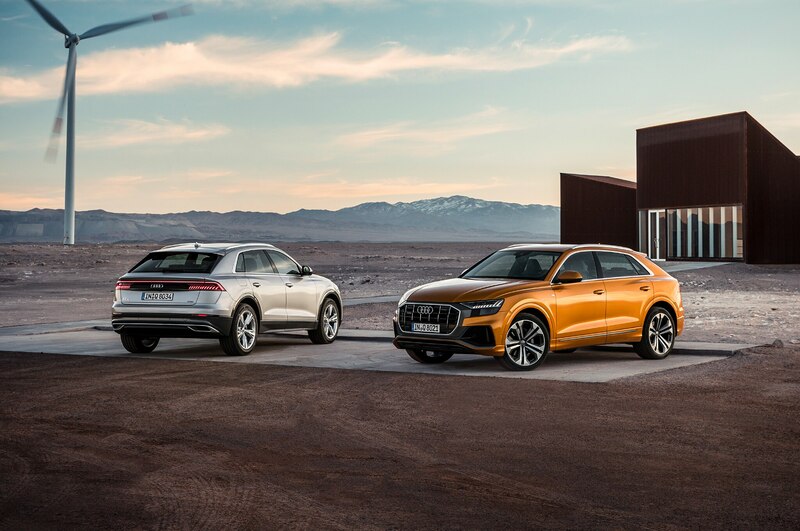 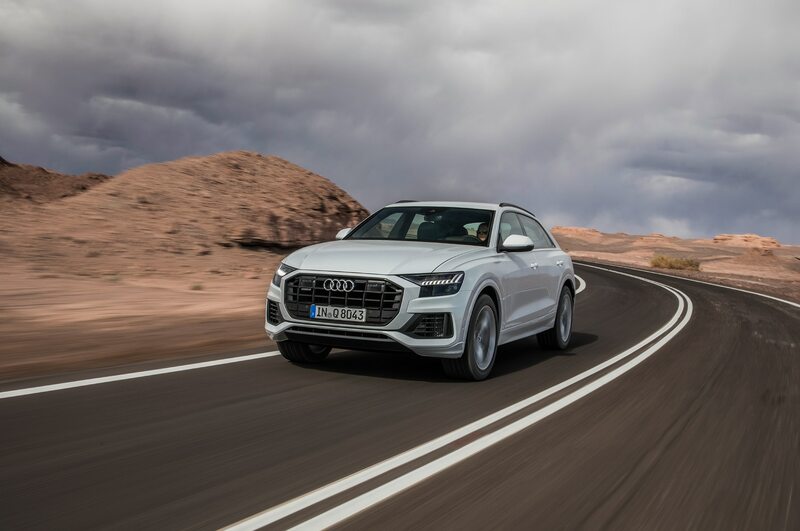 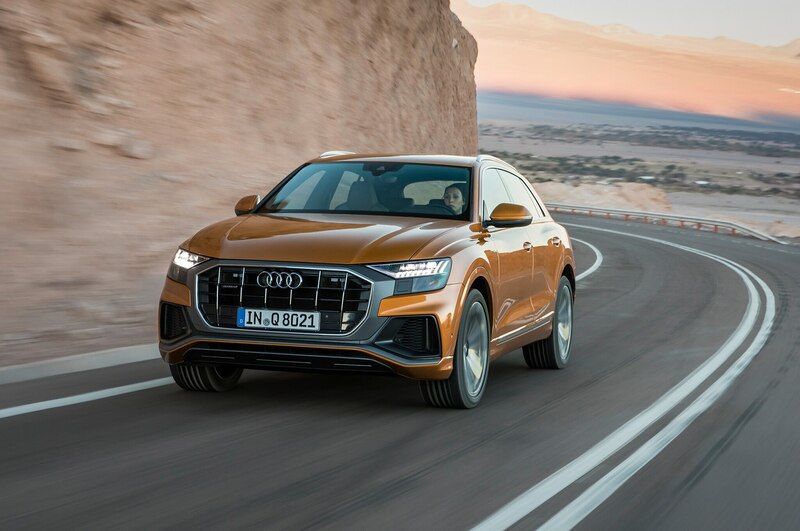 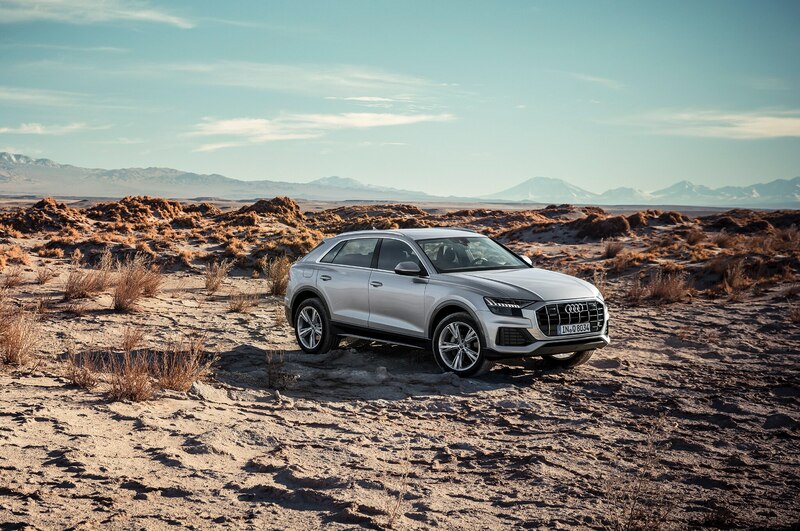 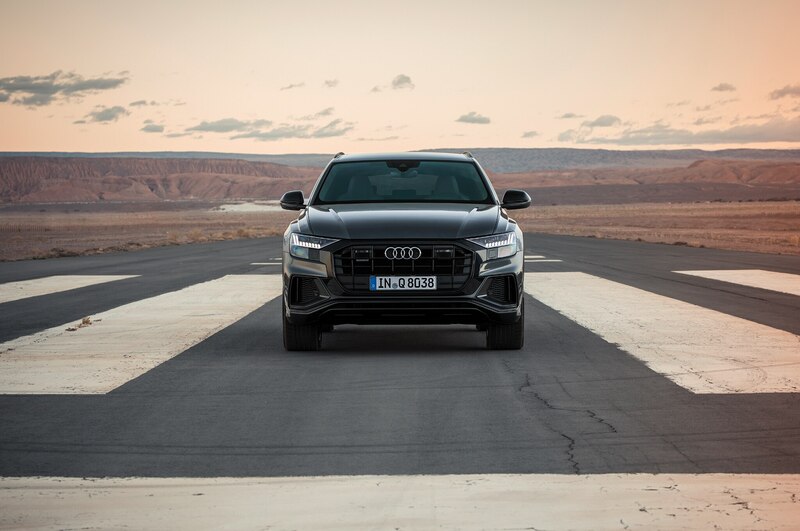 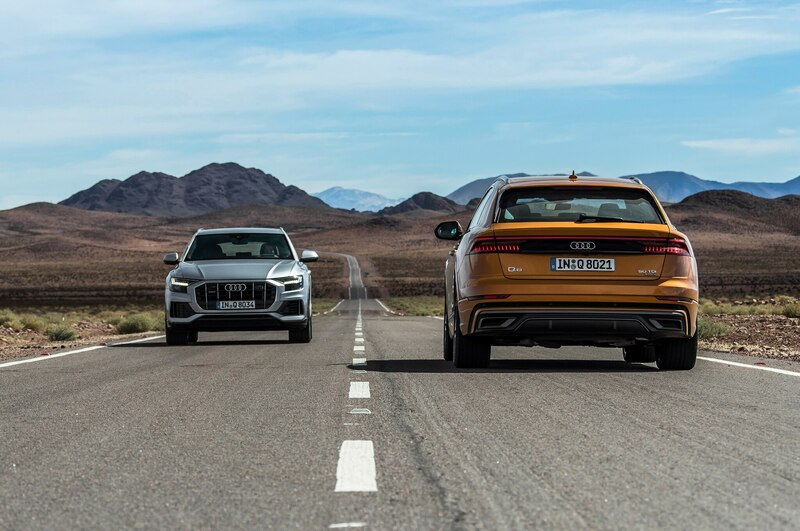 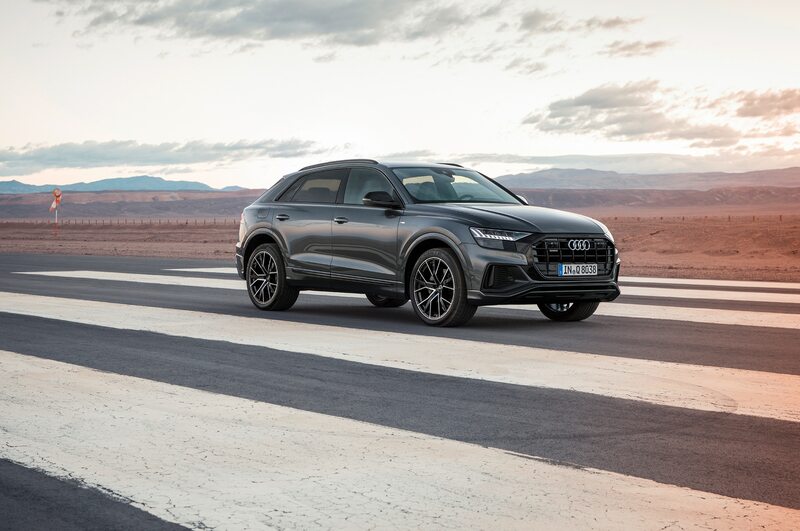 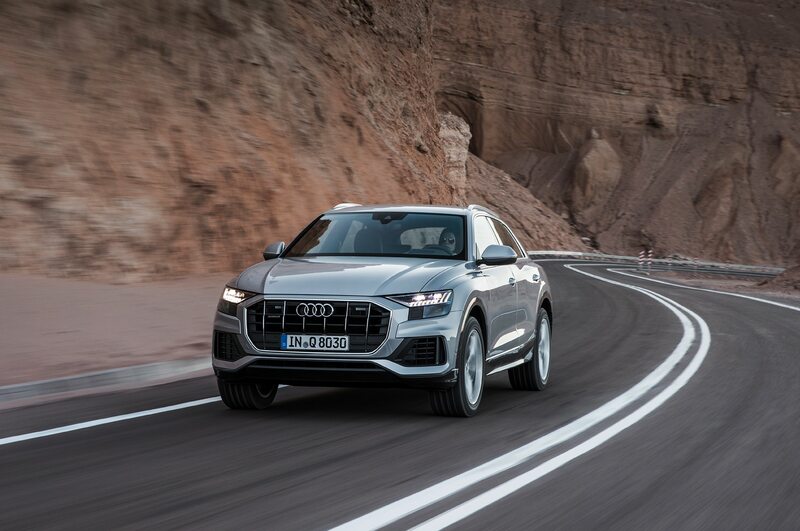 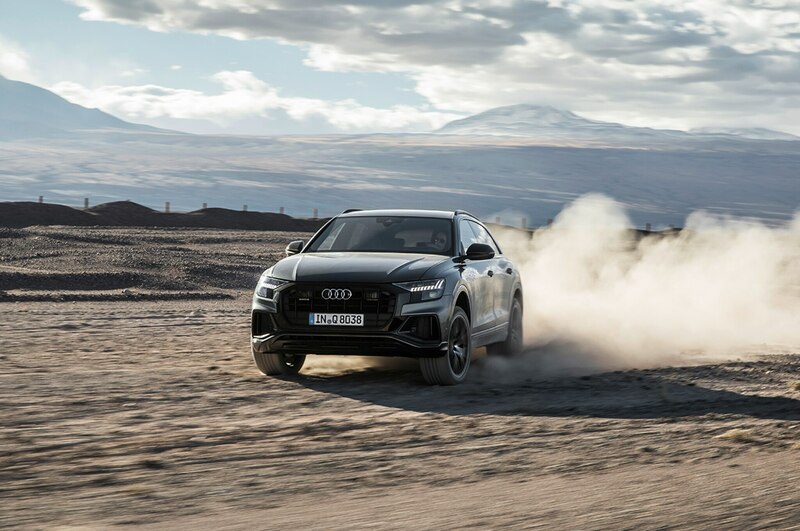 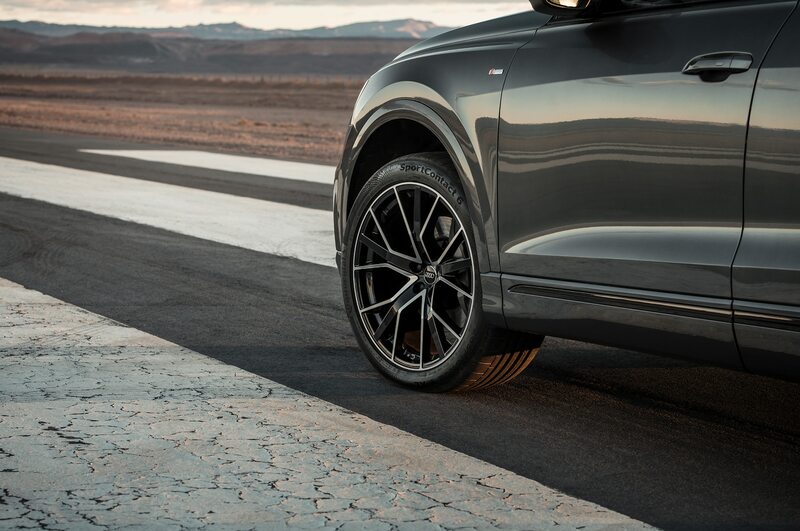 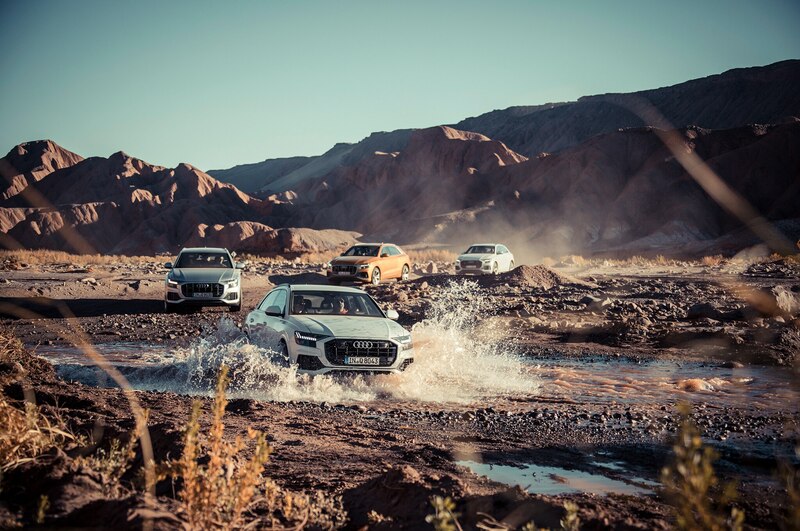 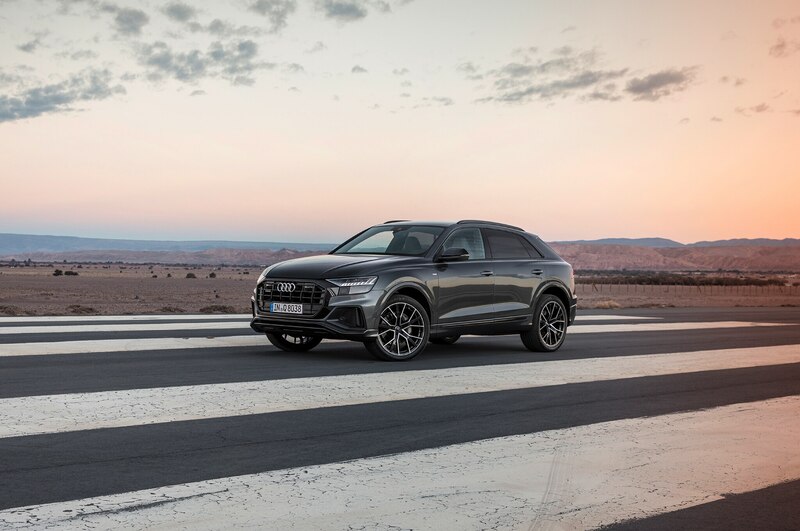 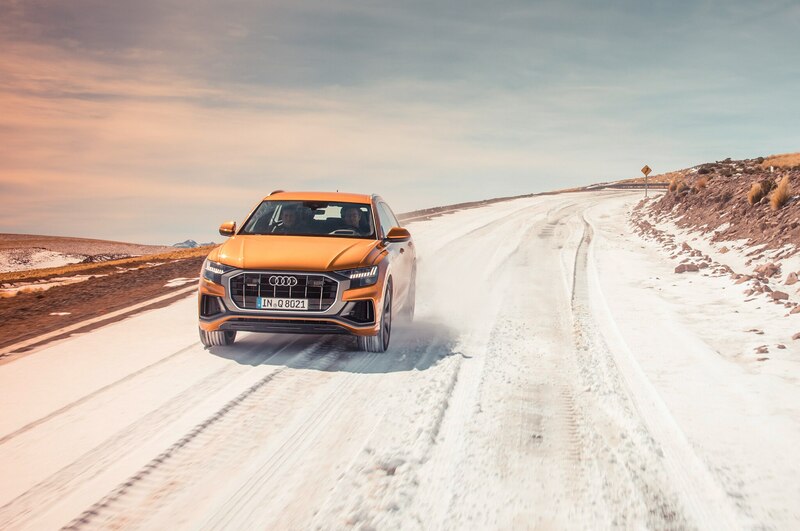 Audi also has another crossover designed for another niche we didn’t know existed—the all-new 2019 Q8, which like the A6 should be available around the end of 2018. 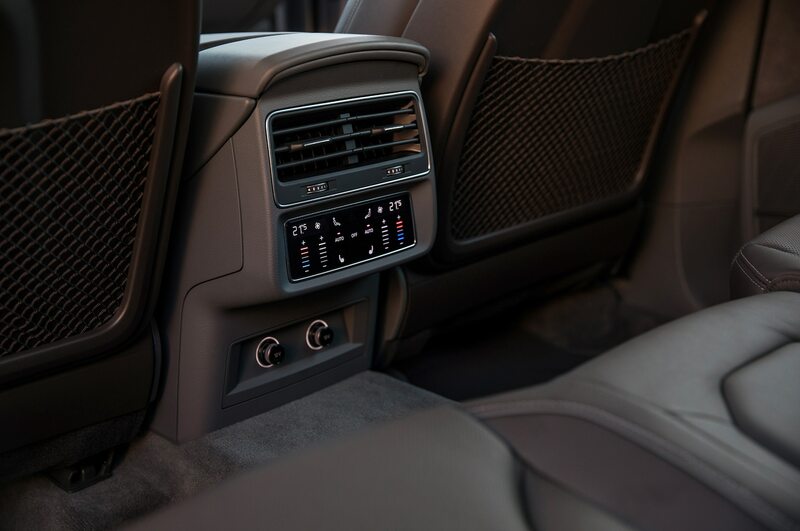 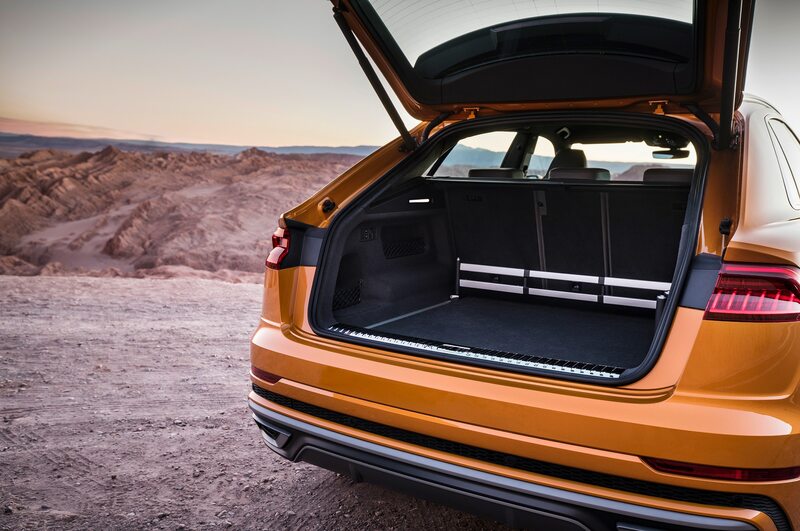 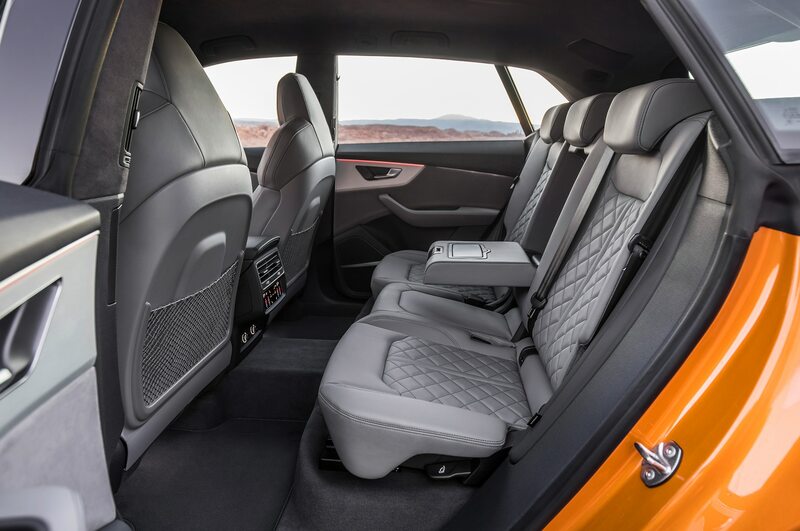 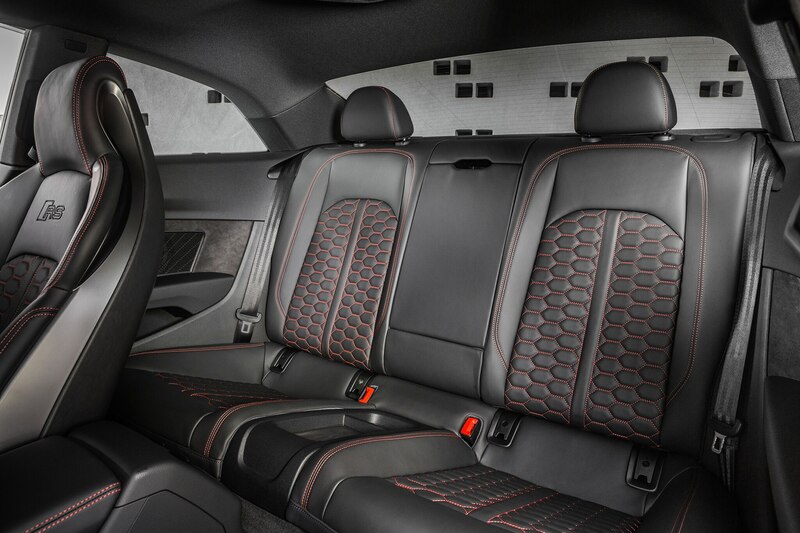 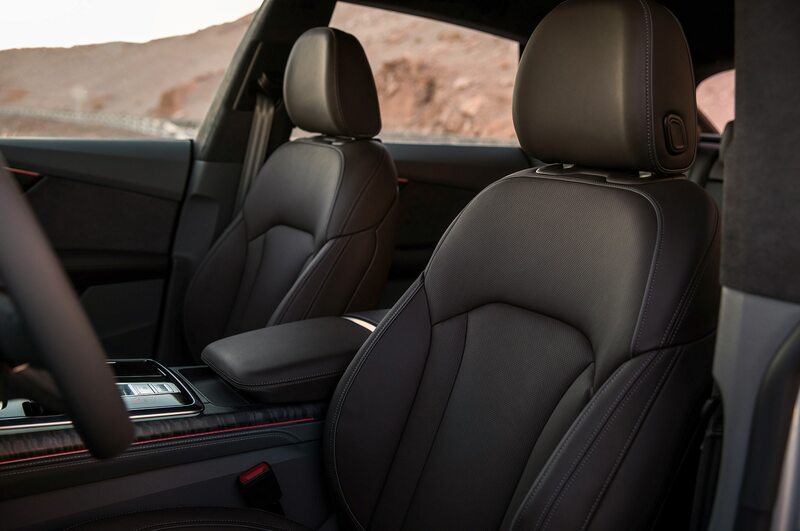 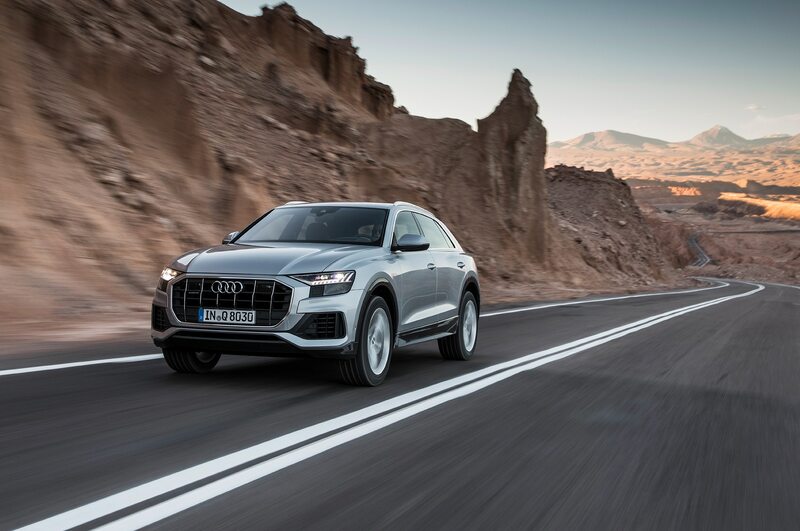 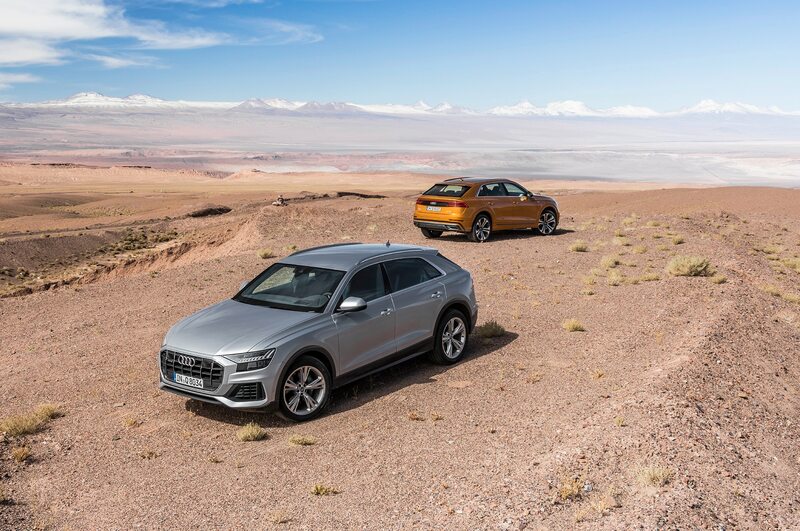 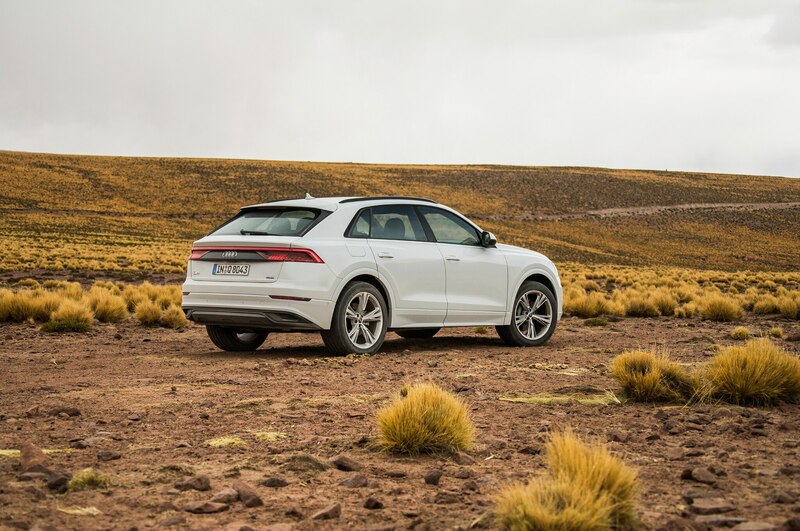 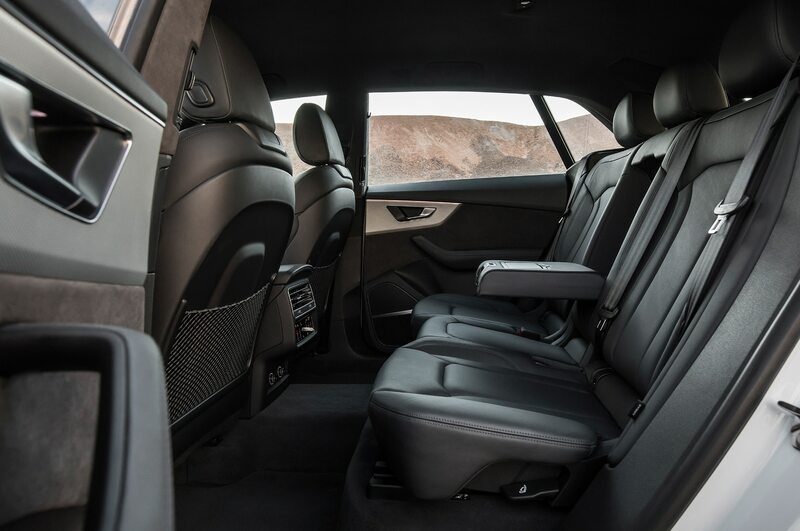 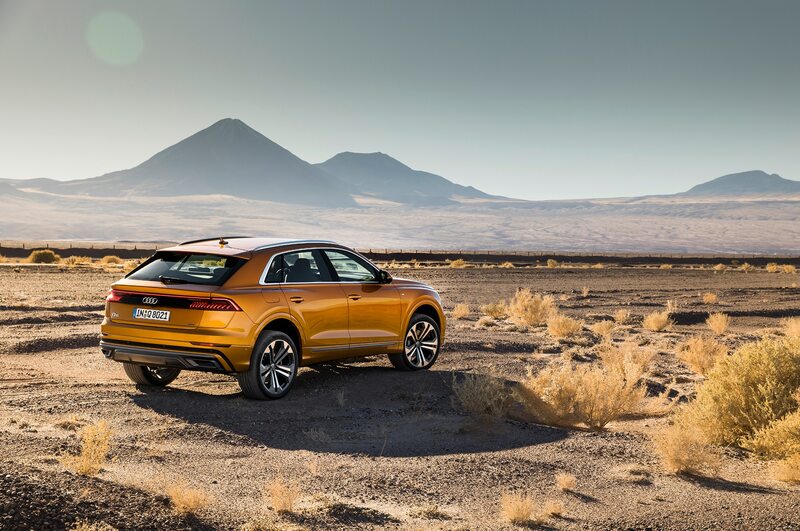 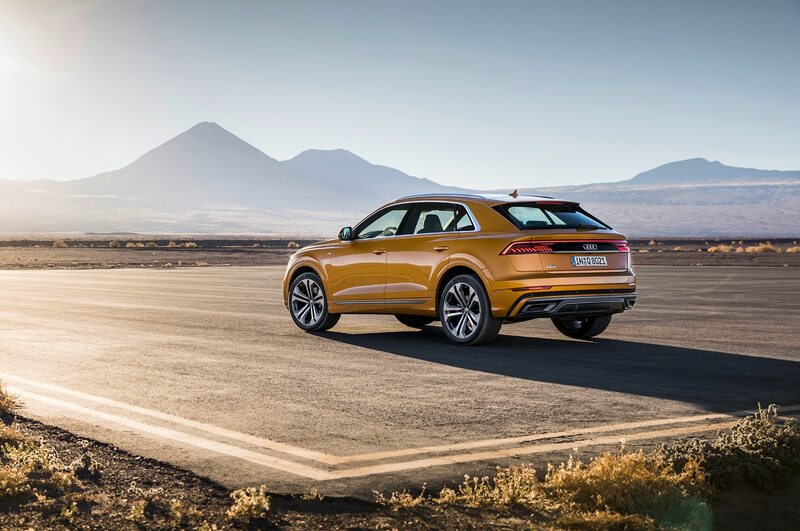 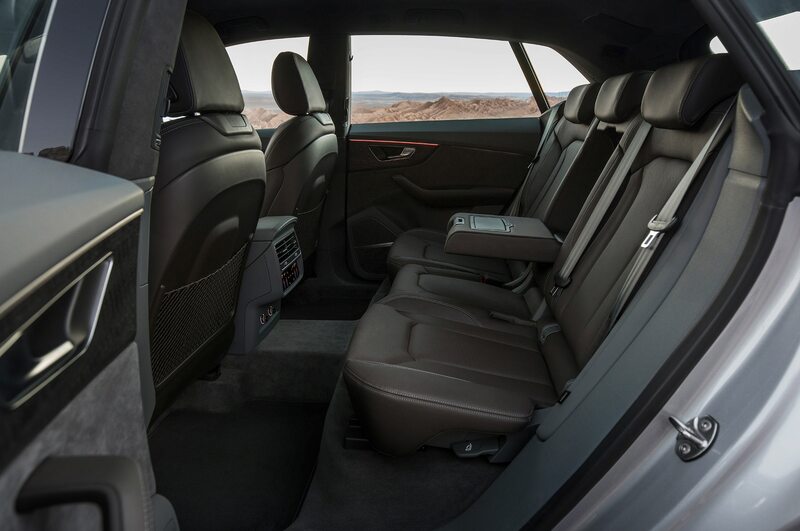 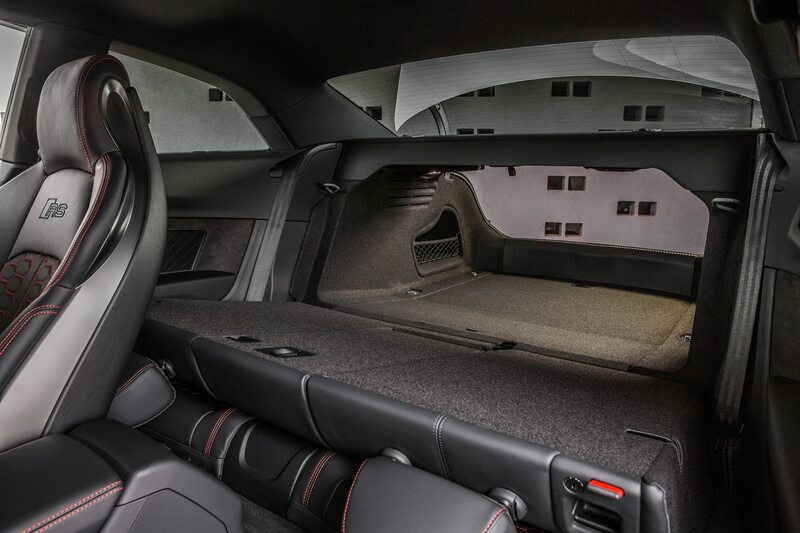 The five-seater is roughly Q7-sized and is a bit more rugged. 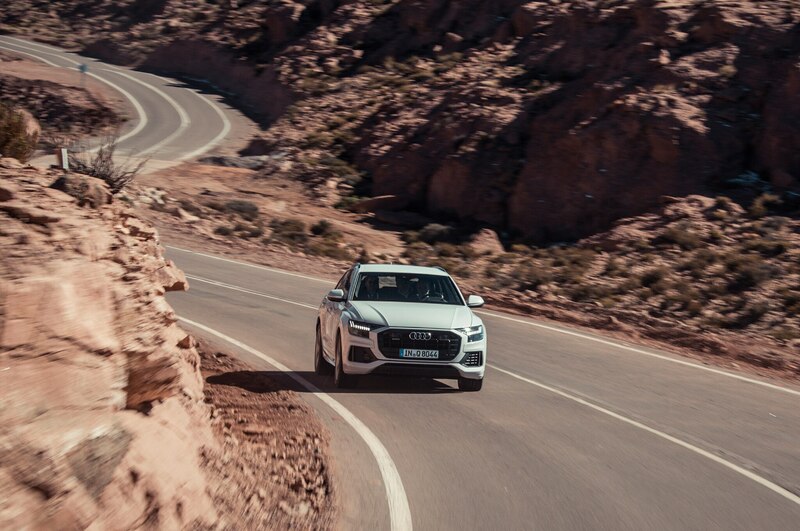 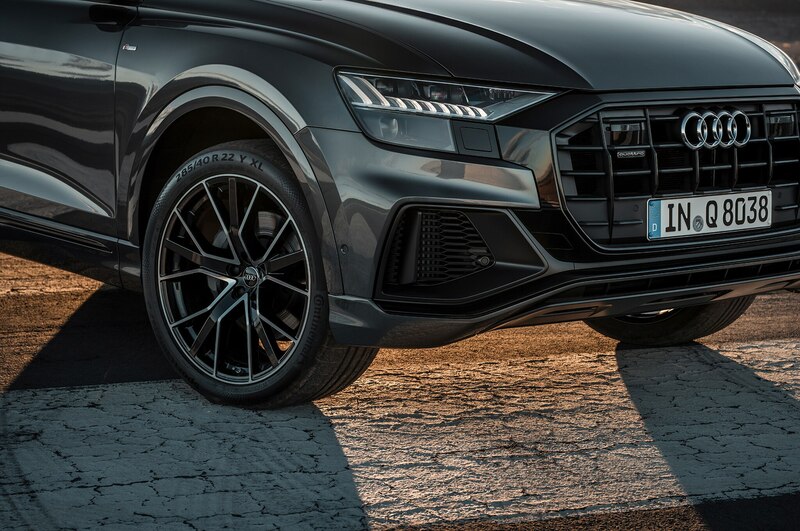 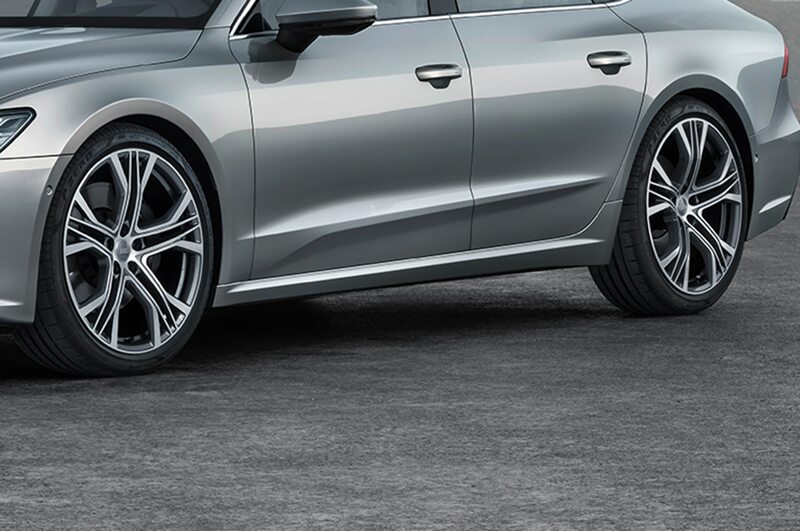 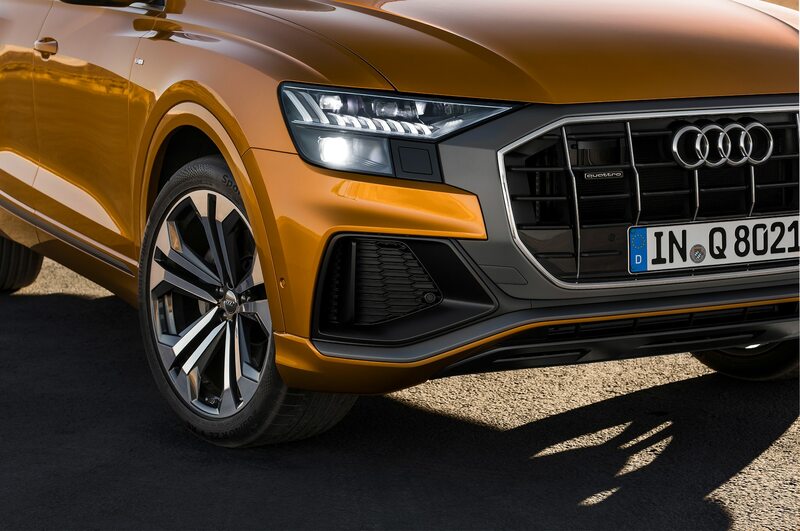 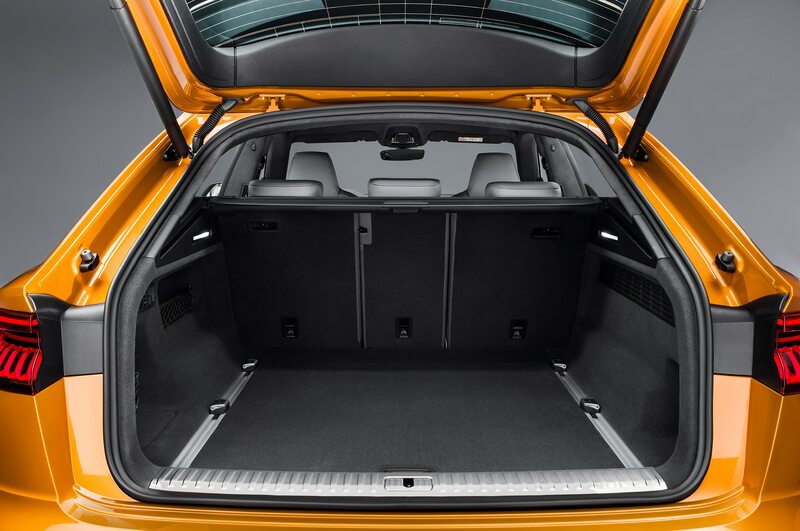 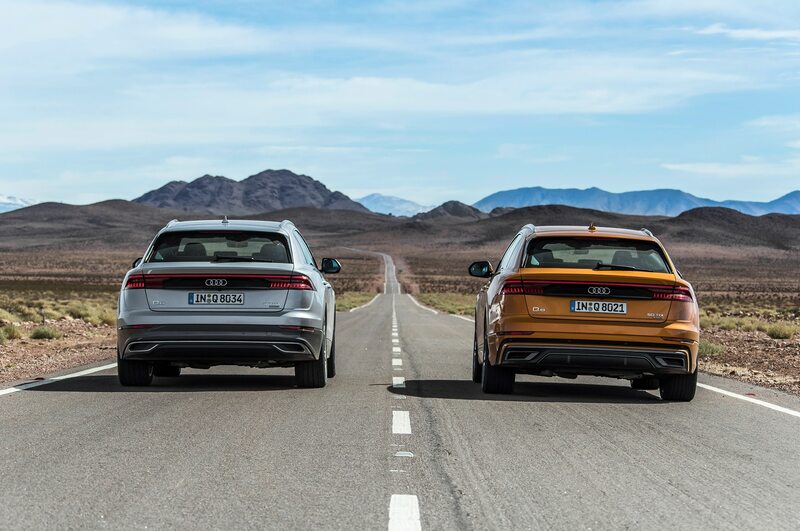 It features more of a sloping rear roofline and an updated, shallower version of Audi’s signature grille with vertical strakes. 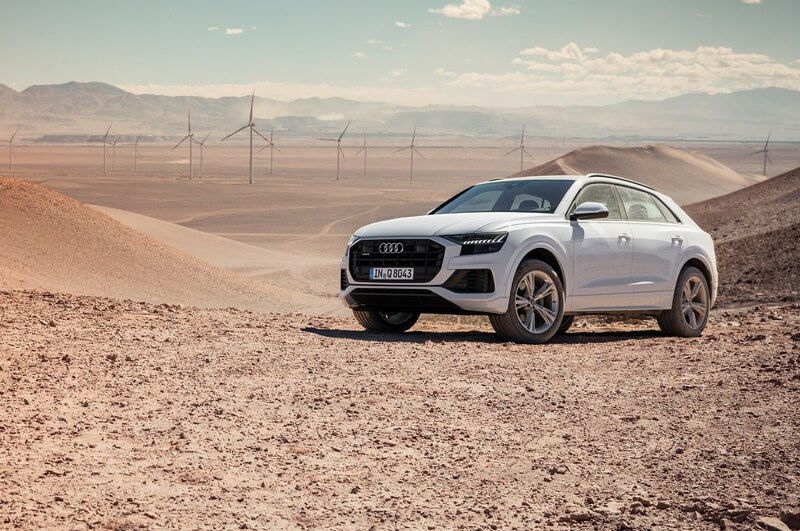 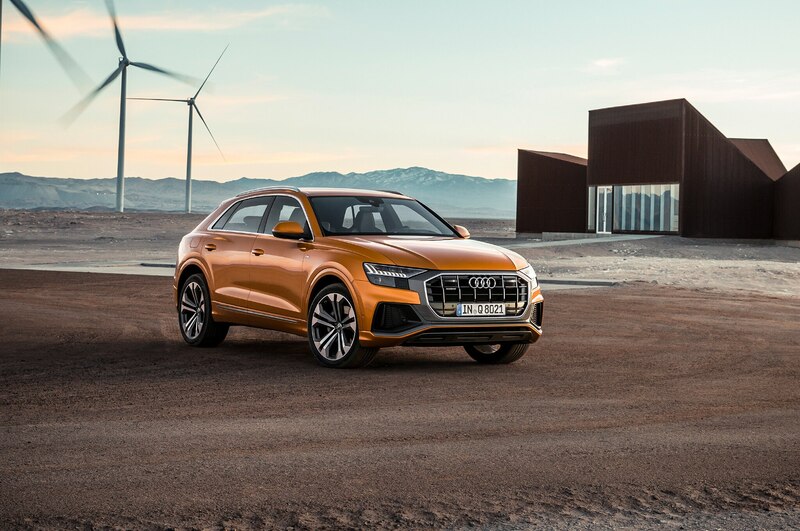 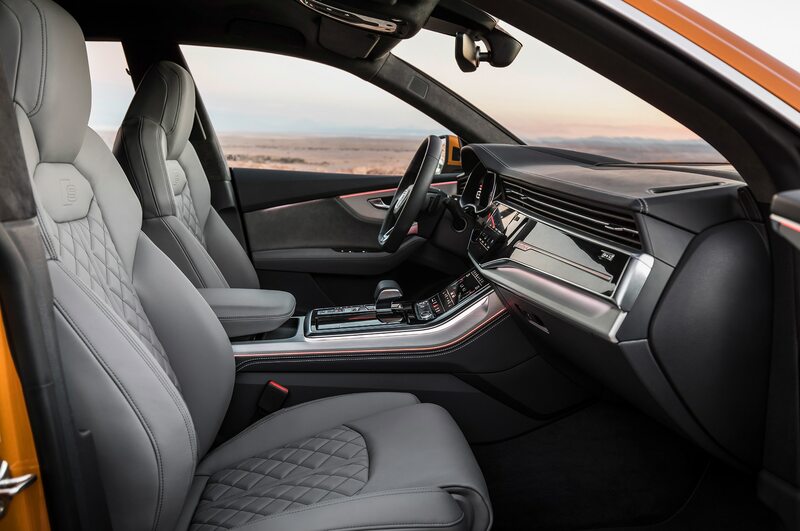 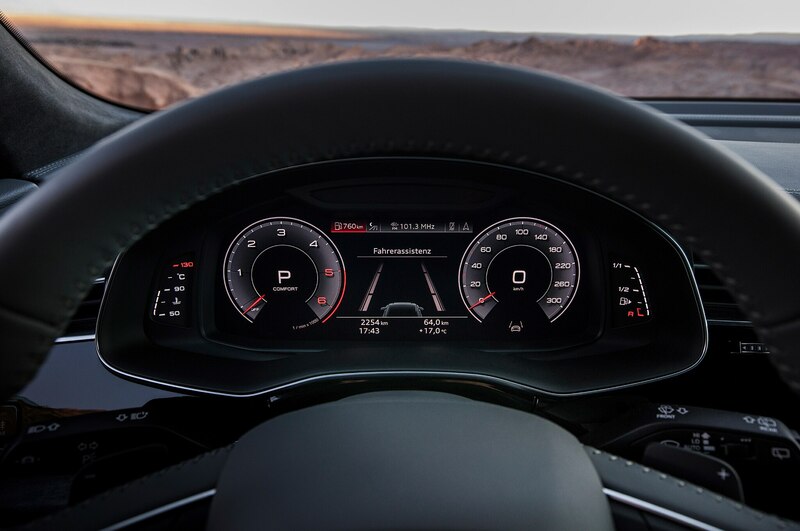 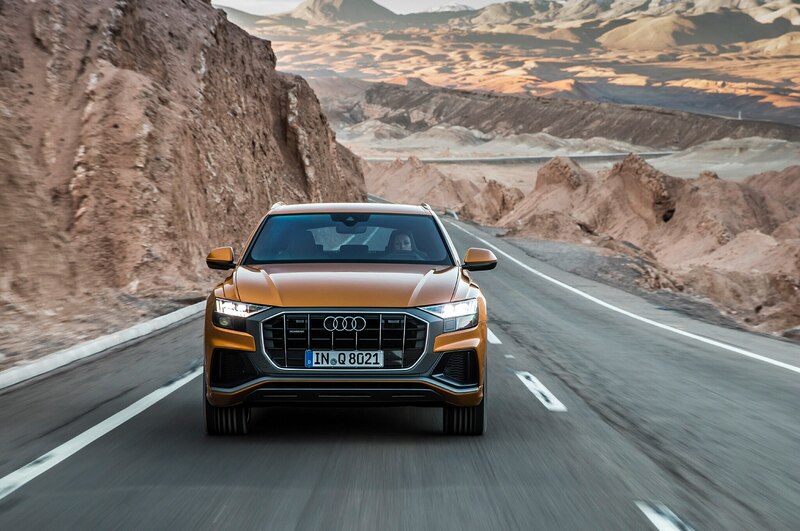 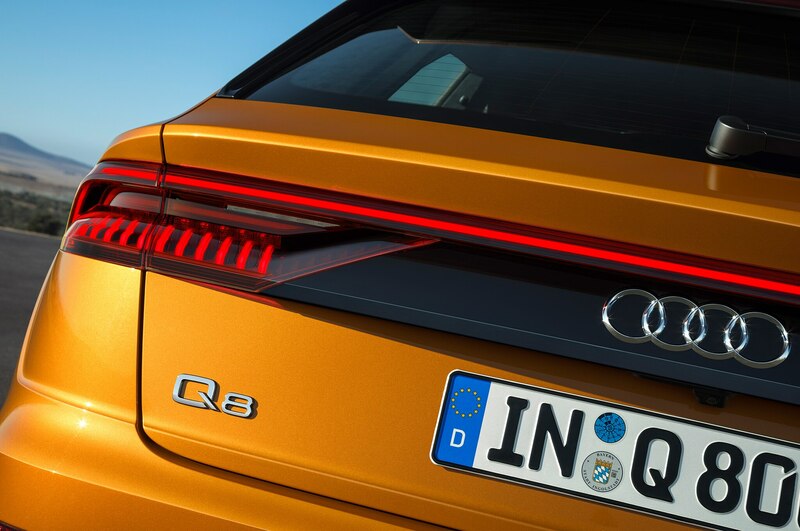 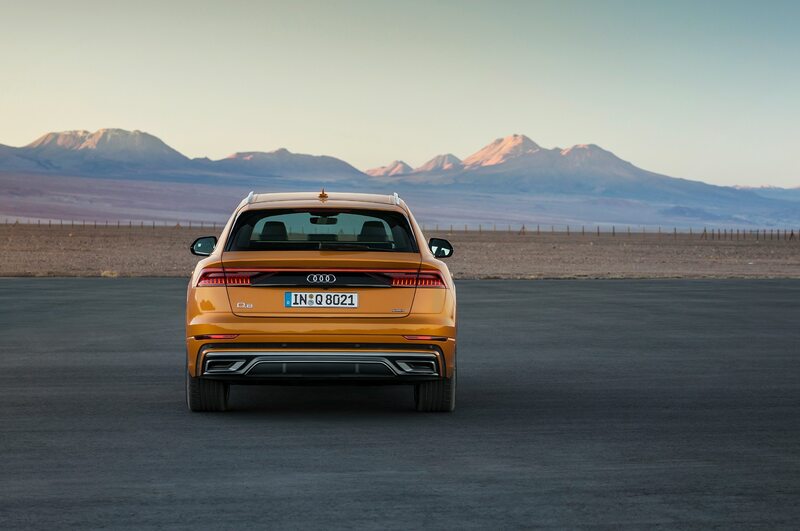 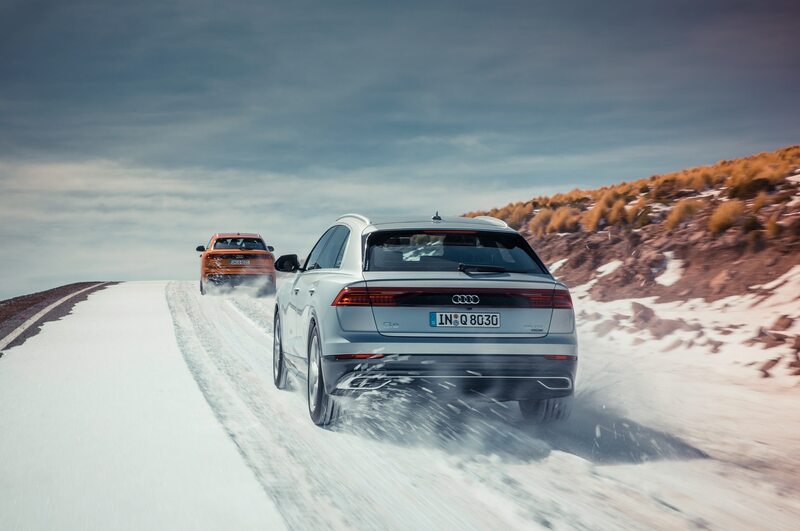 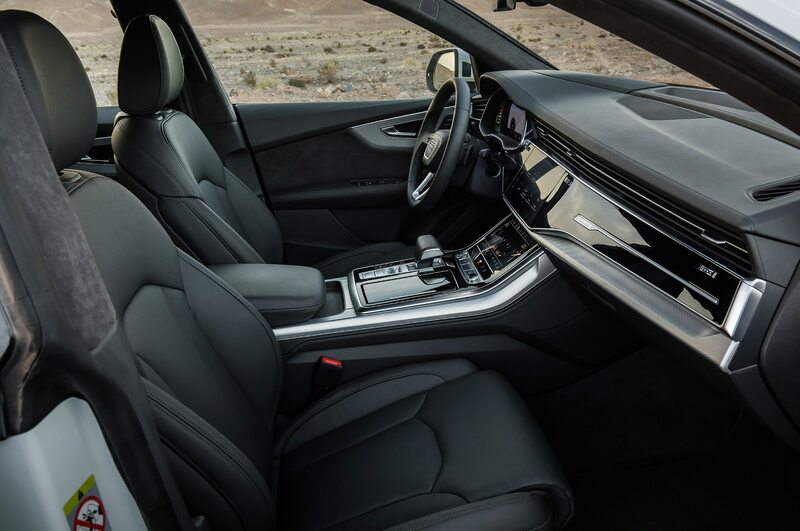 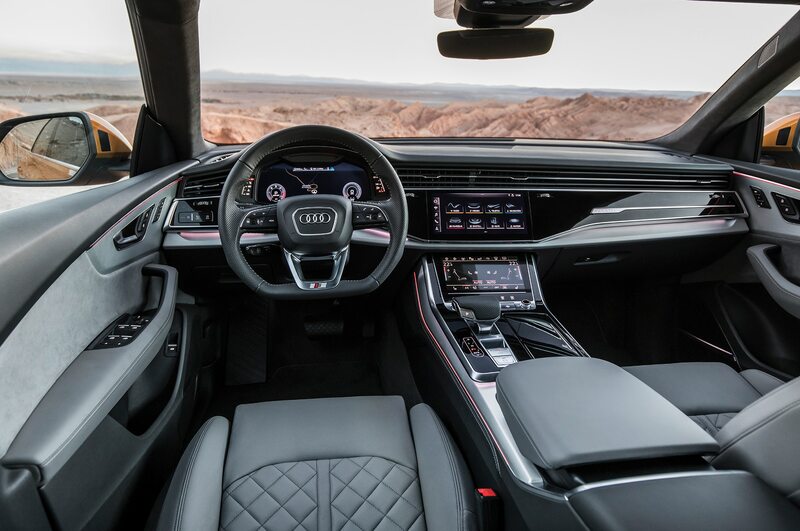 As with the A6, all of Audi’s latest powertrain (3.0-liter turbo V-6, 48-volt mild hybrid) and interior tech will be available for the Q8, and a plug-in version will arrive at some point. 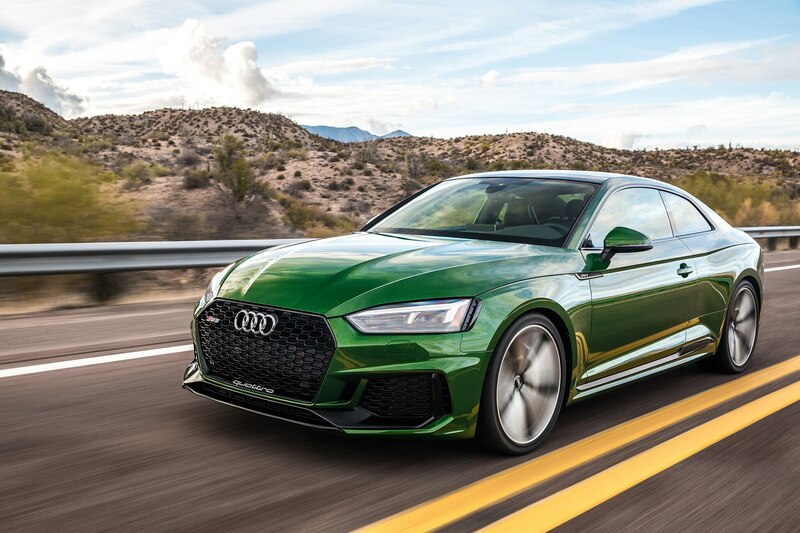 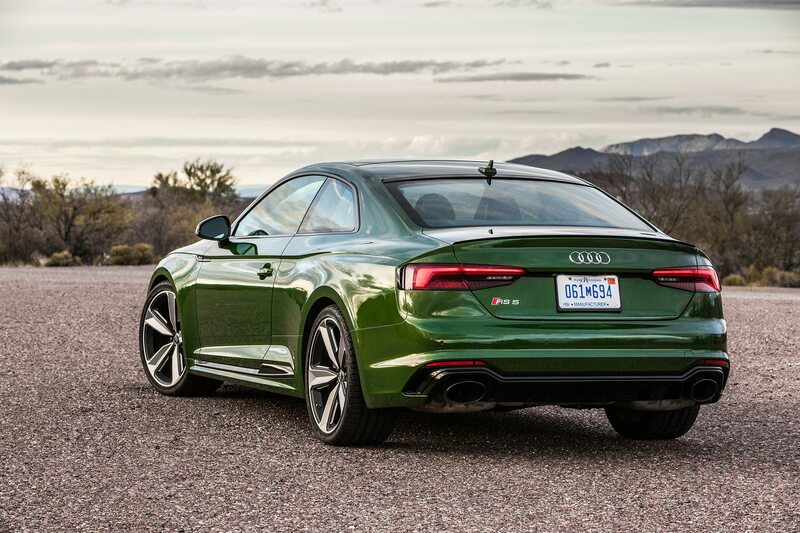 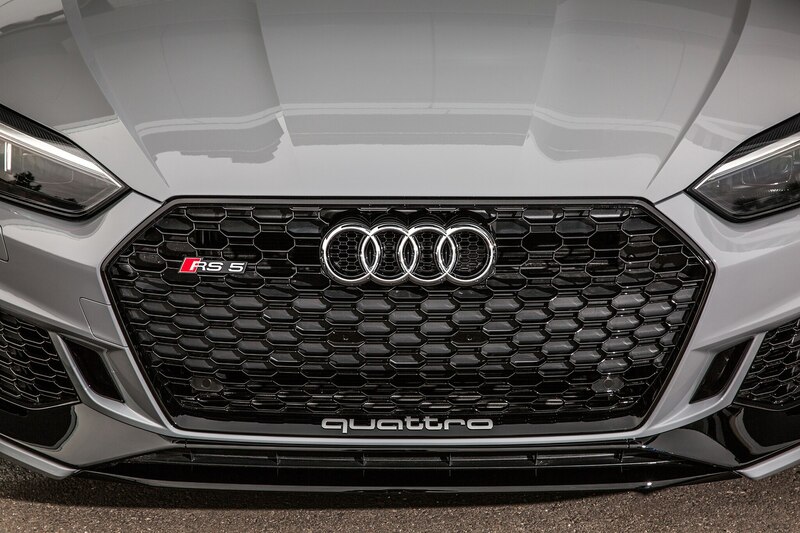 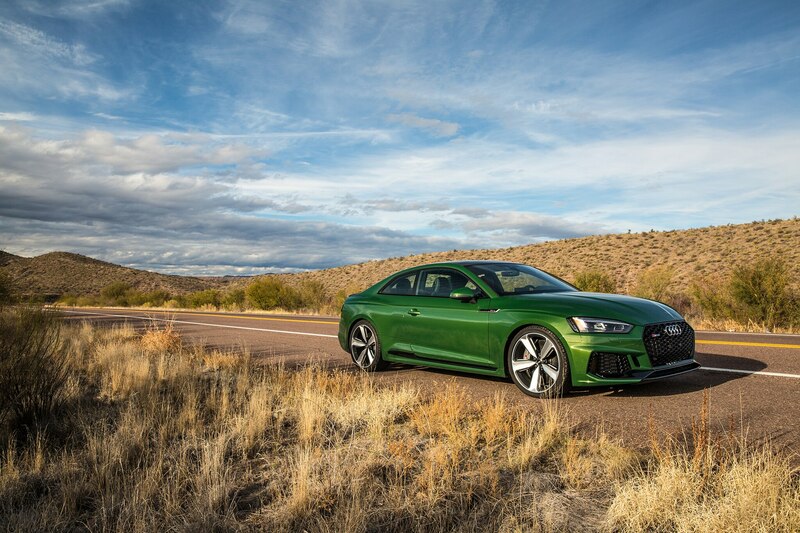 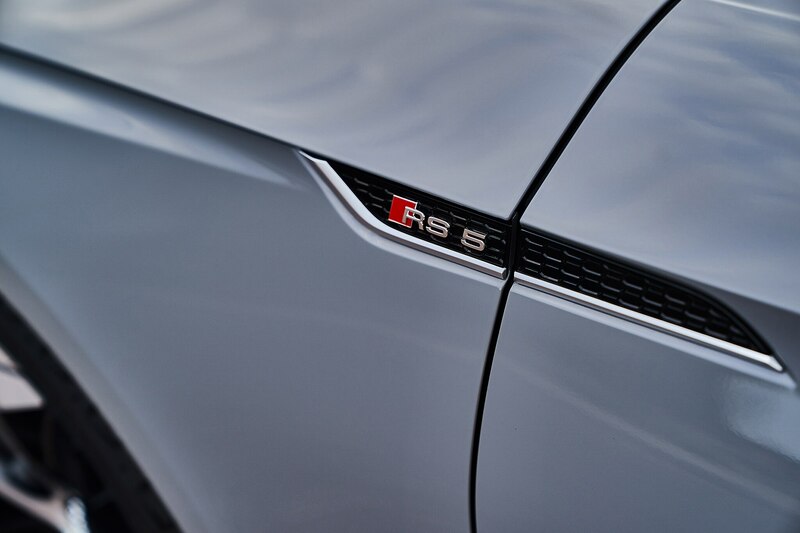 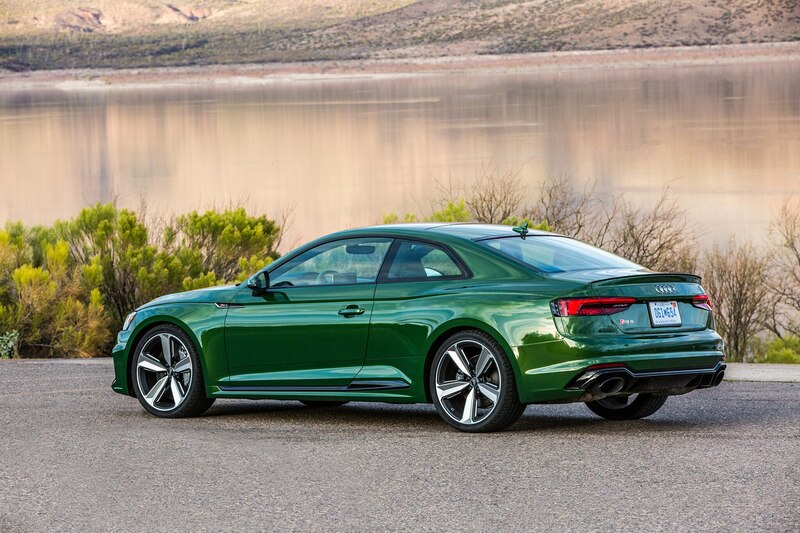 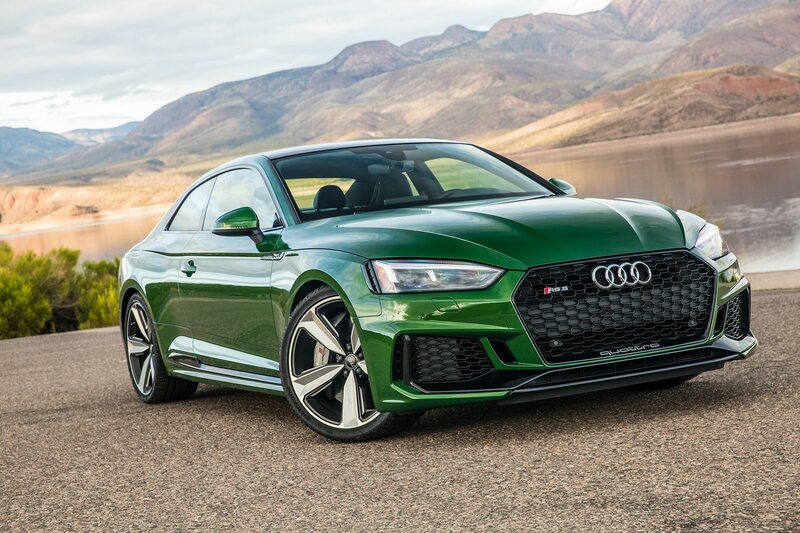 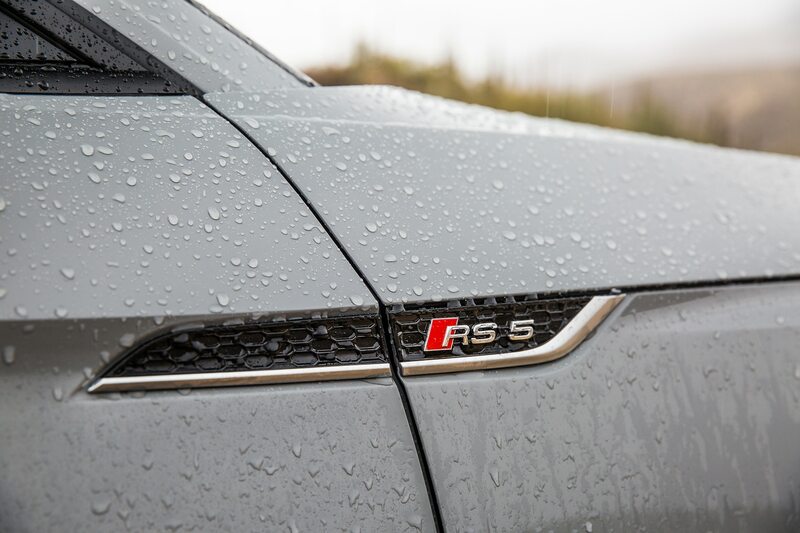 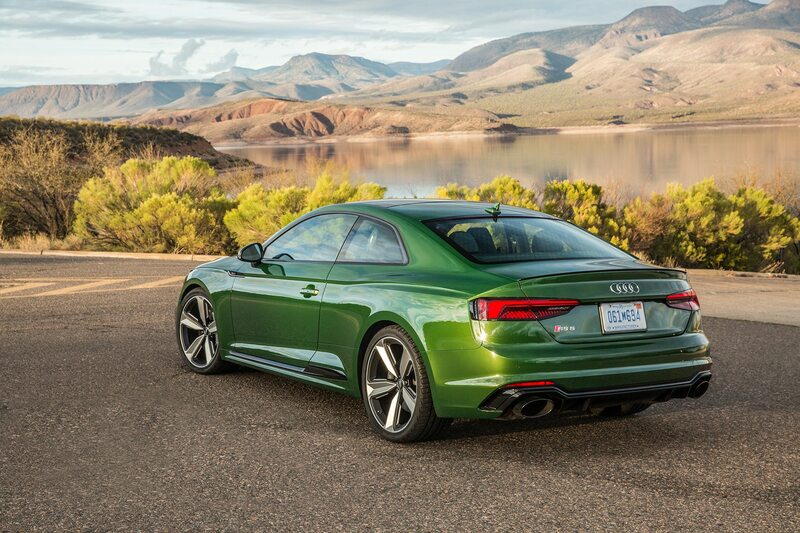 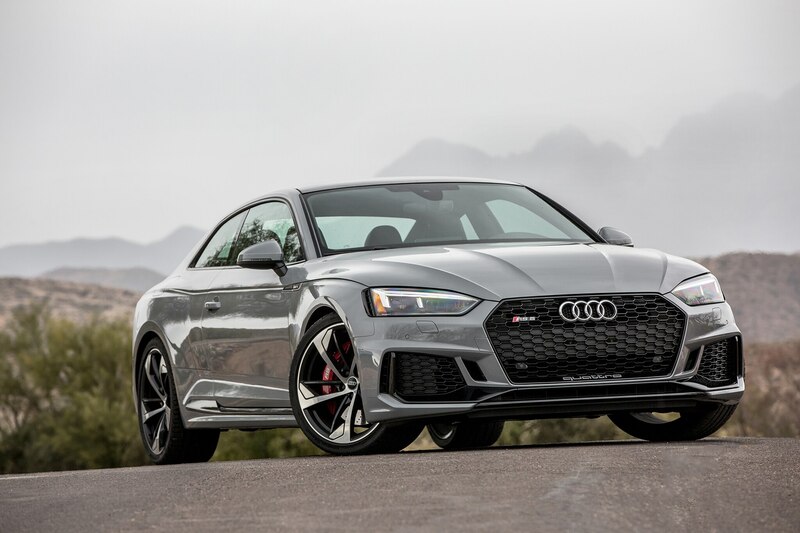 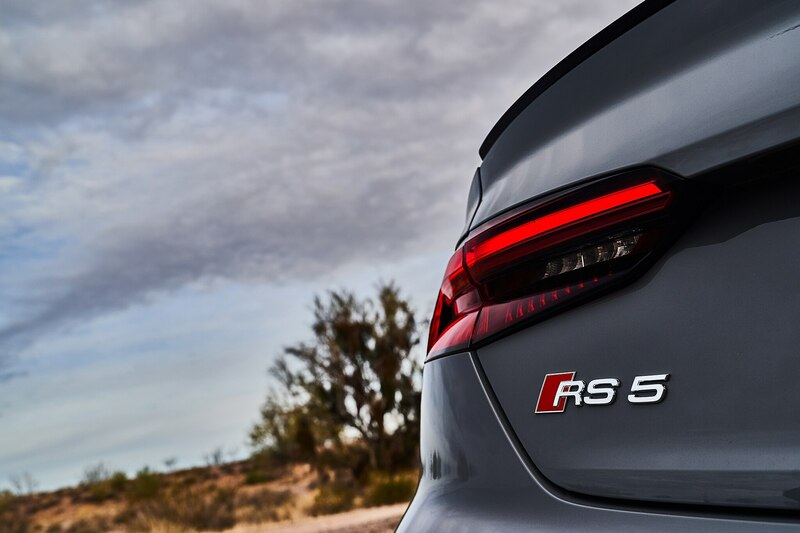 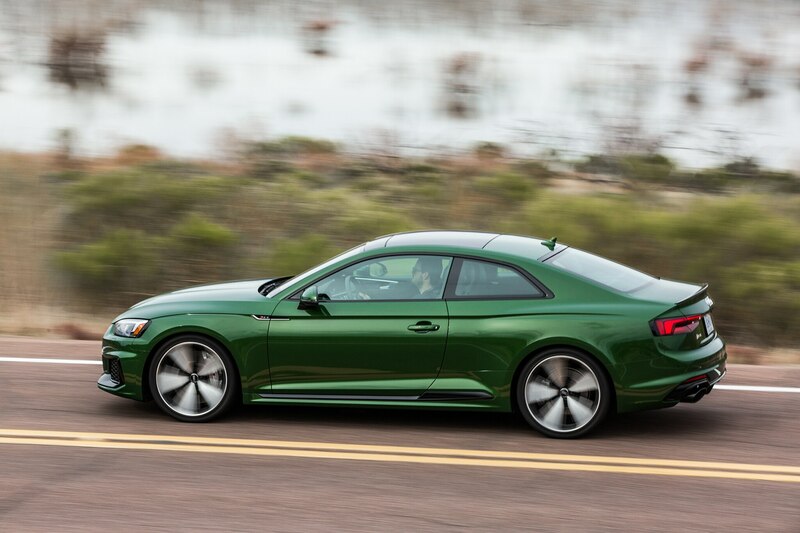 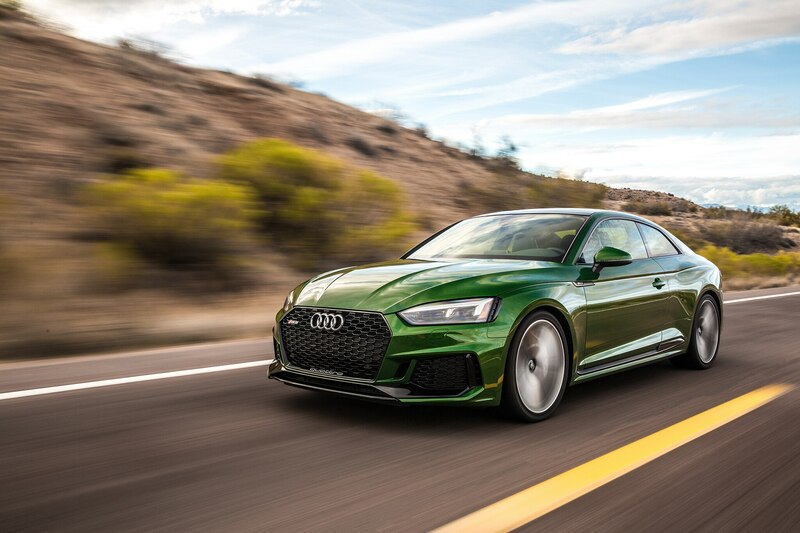 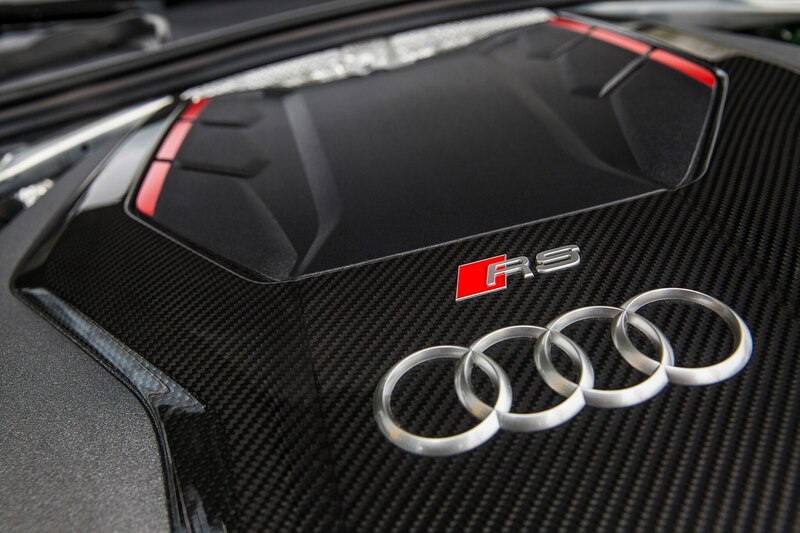 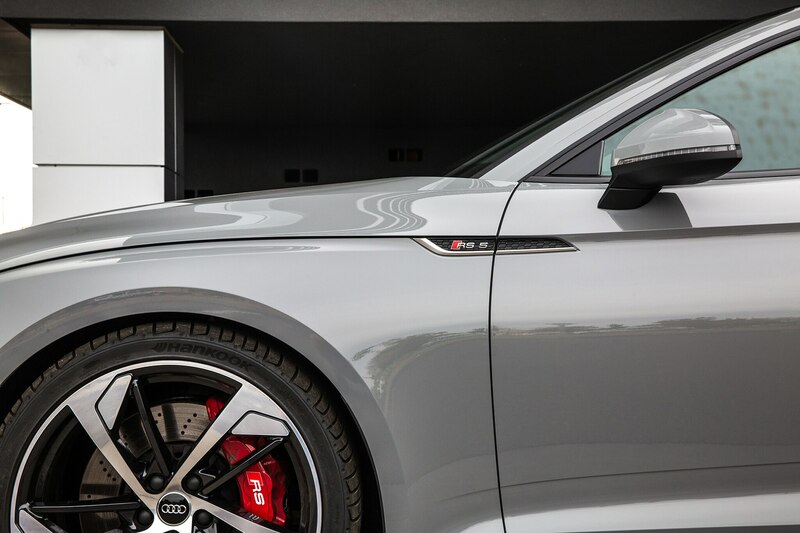 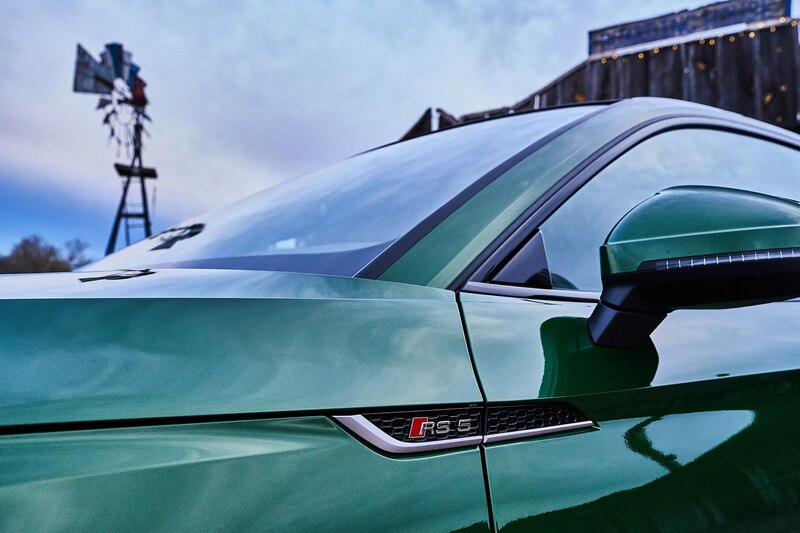 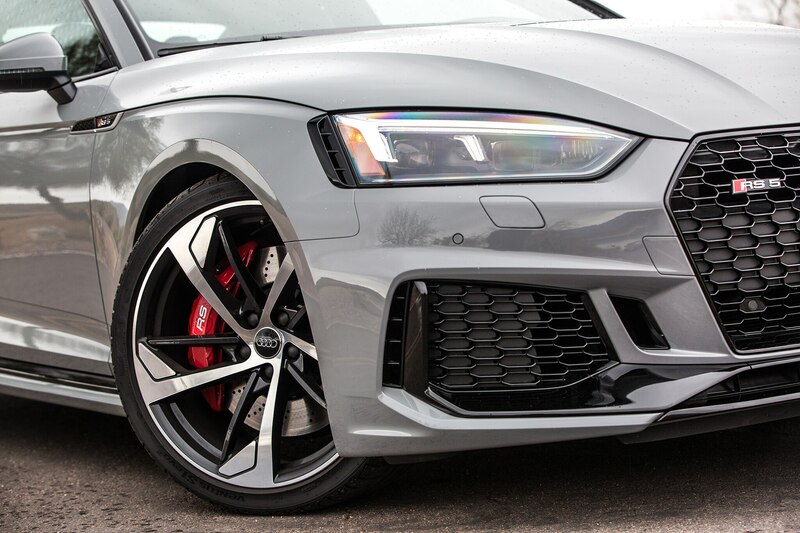 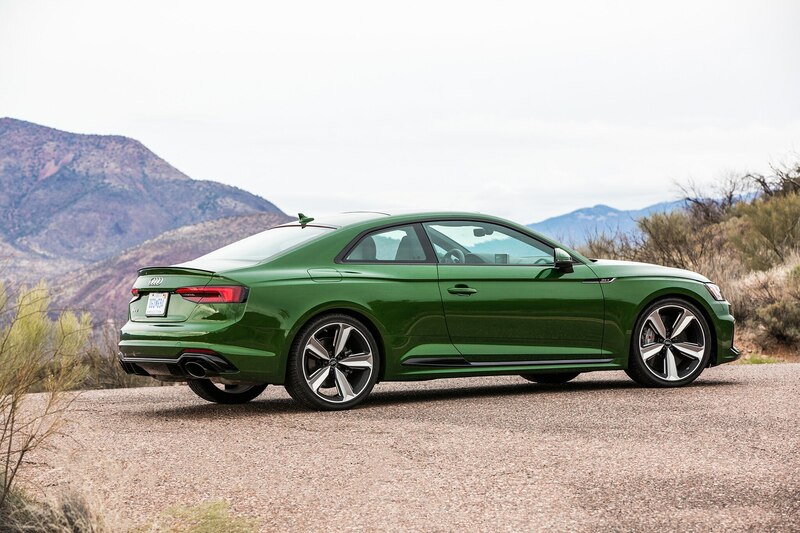 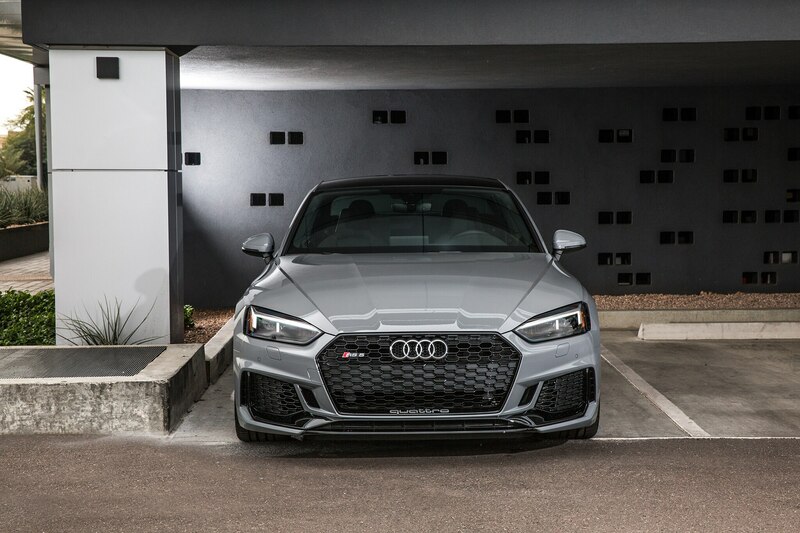 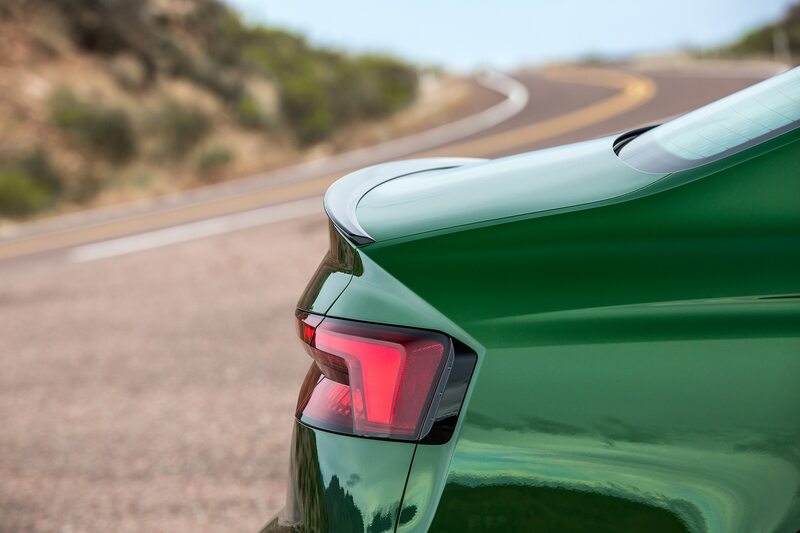 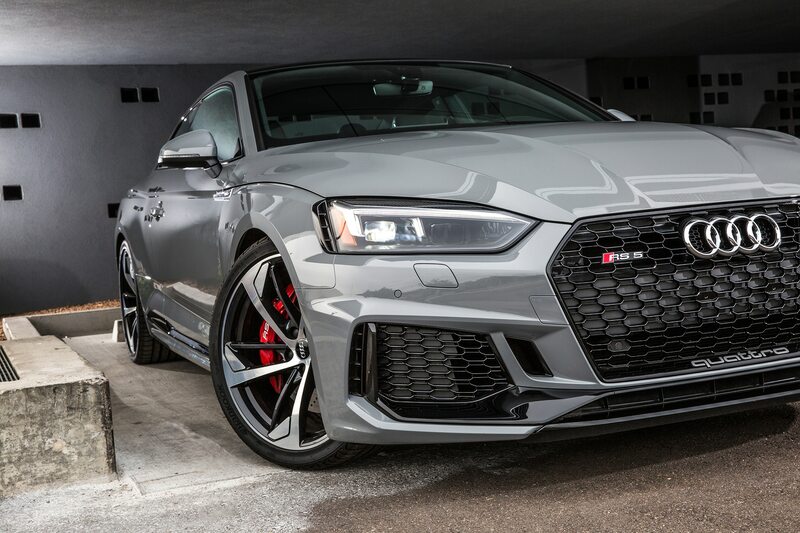 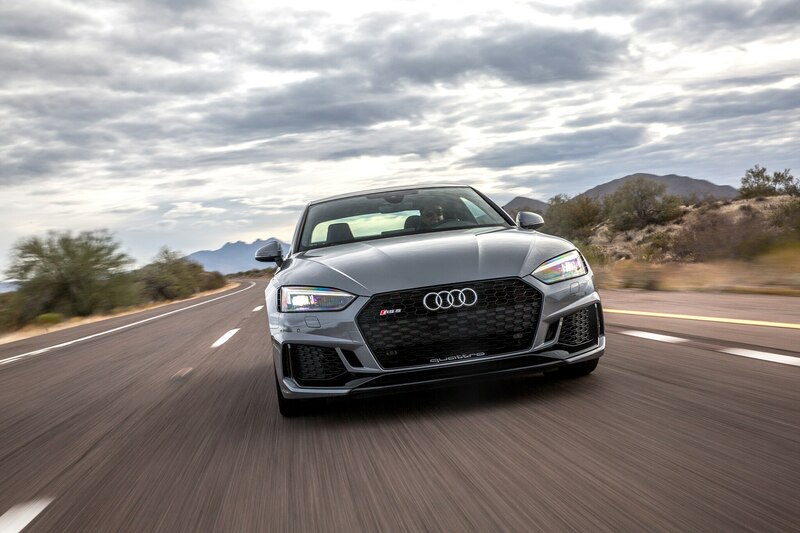 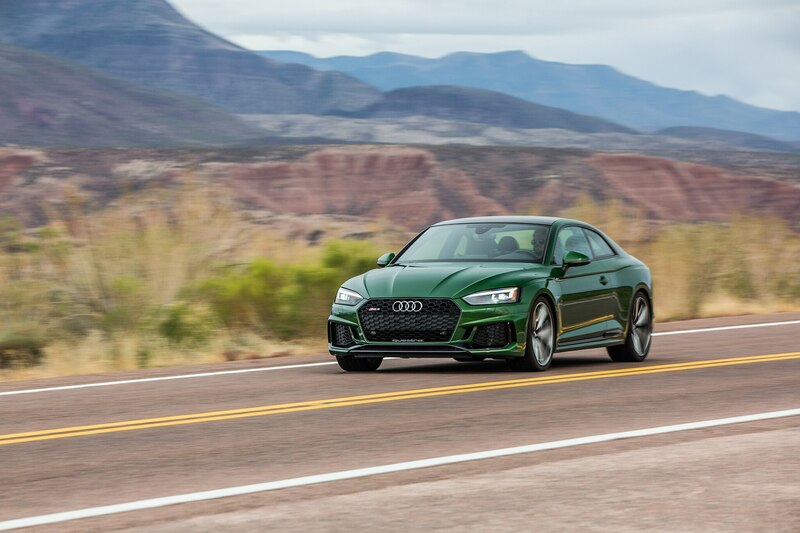 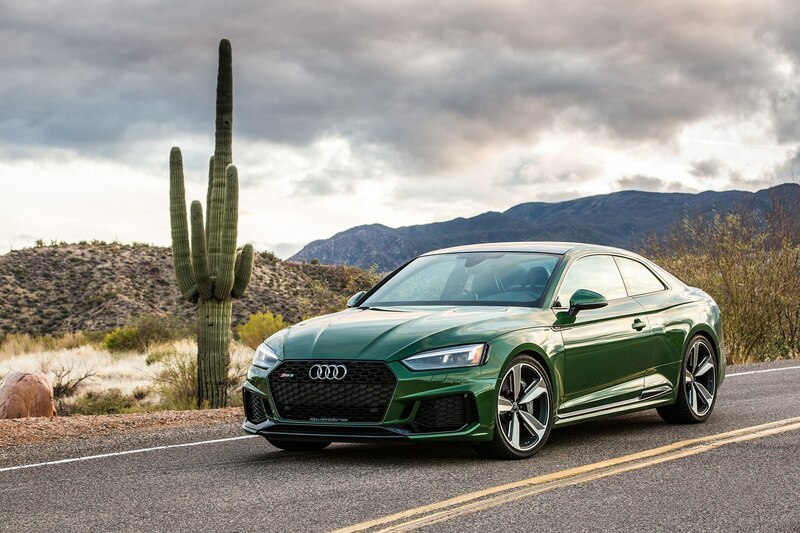 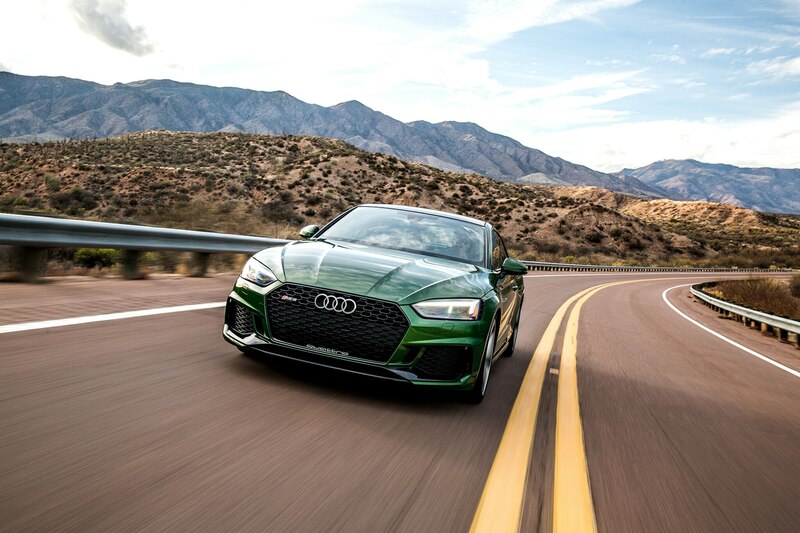 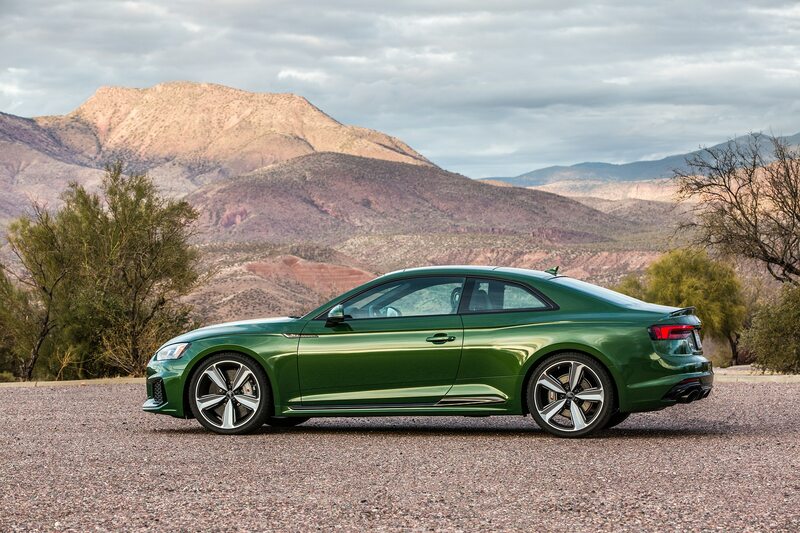 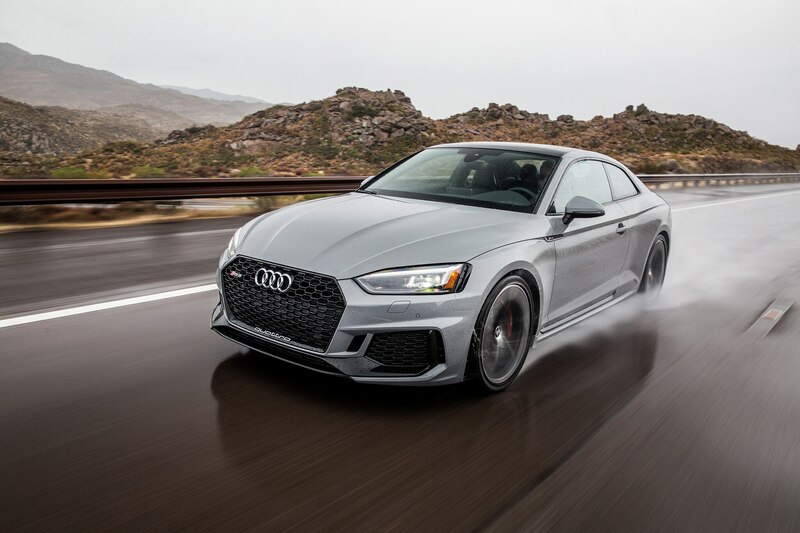 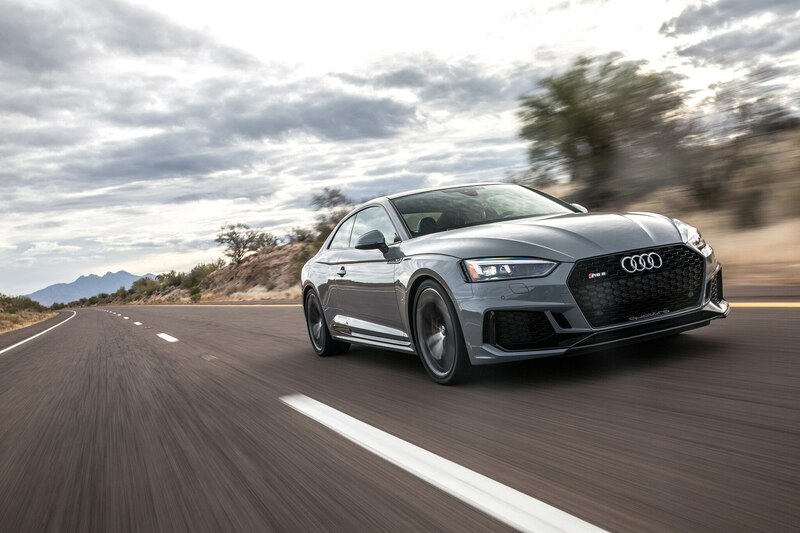 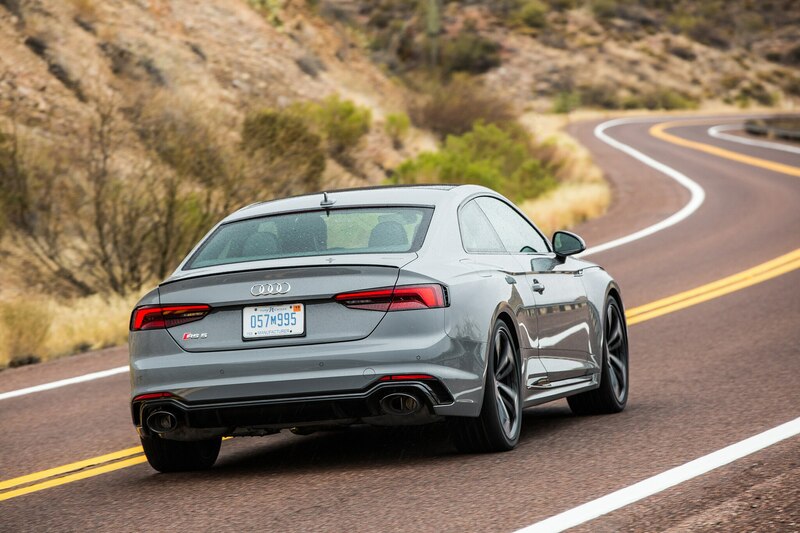 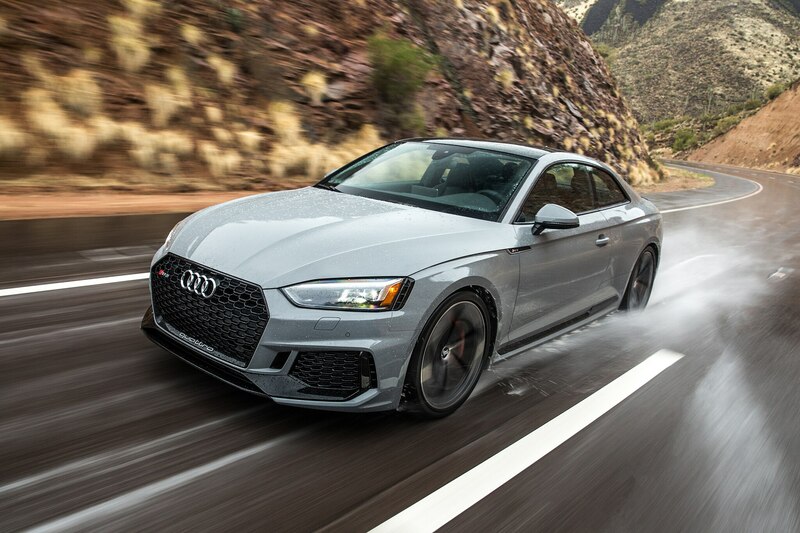 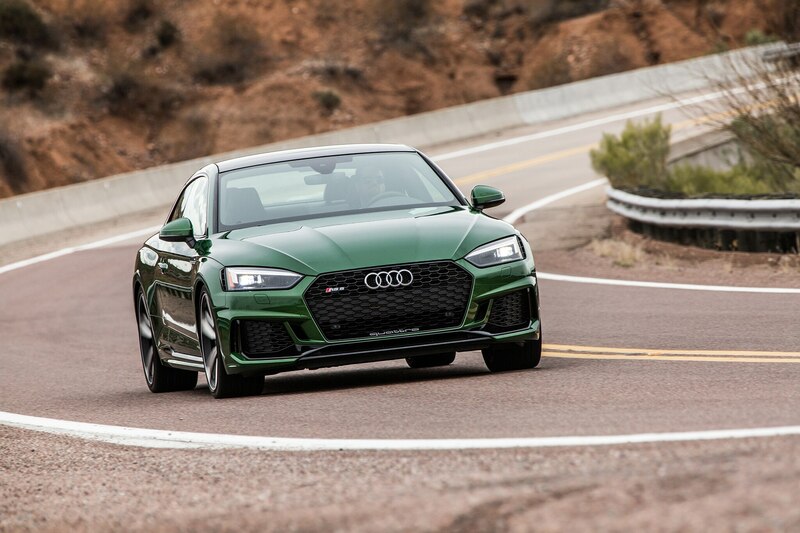 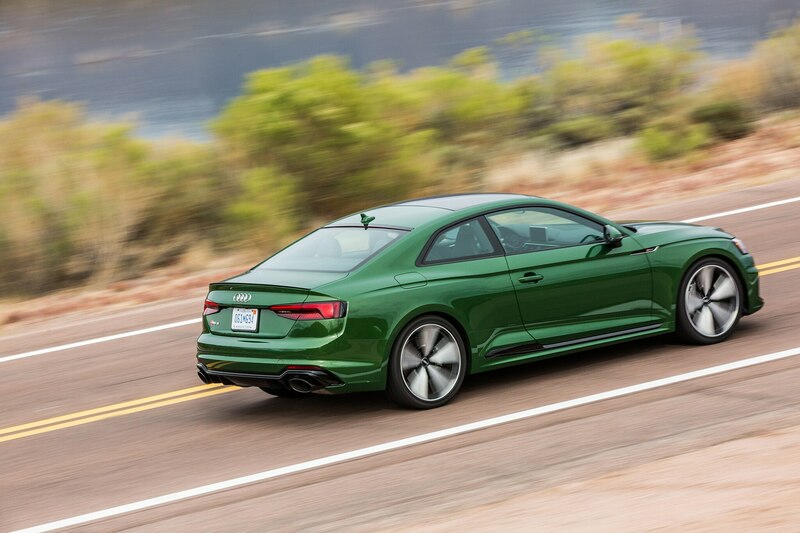 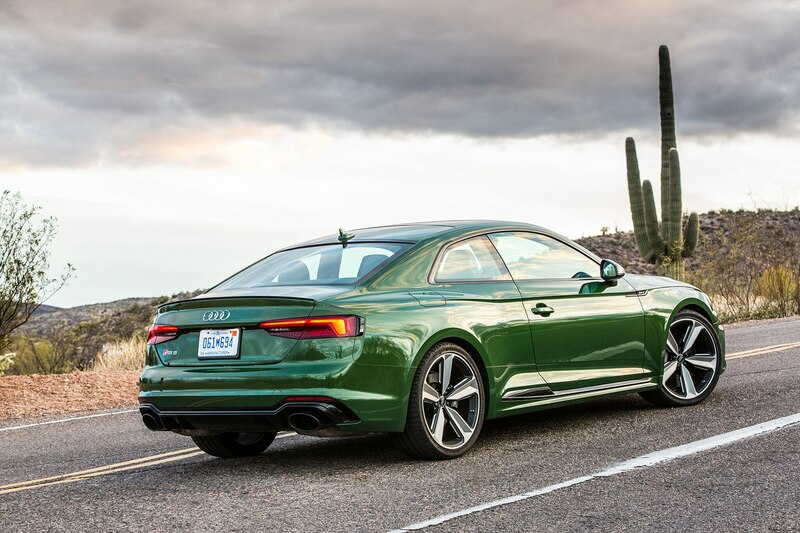 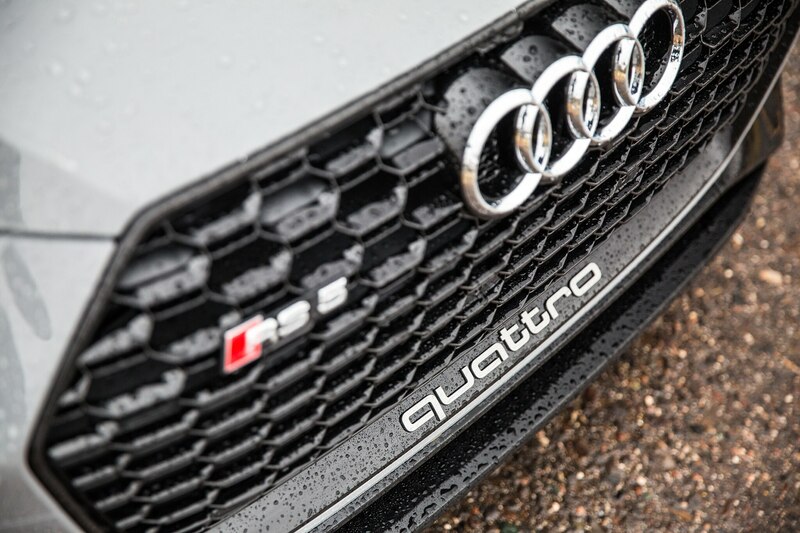 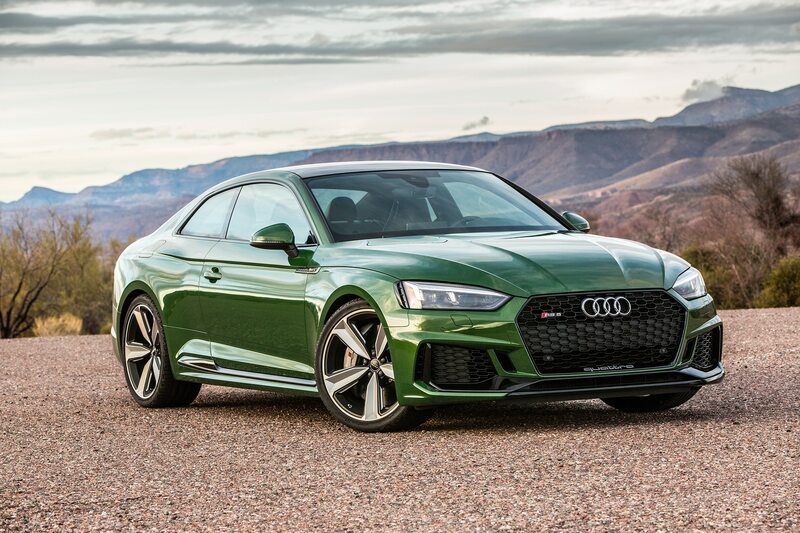 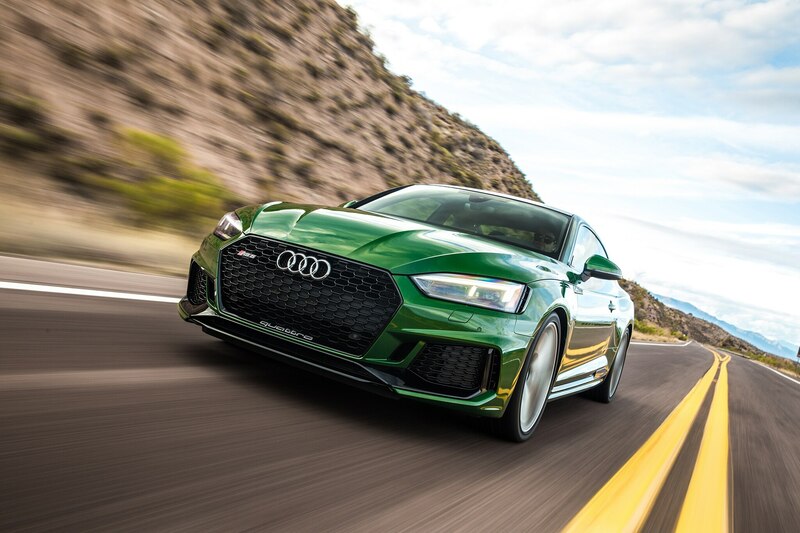 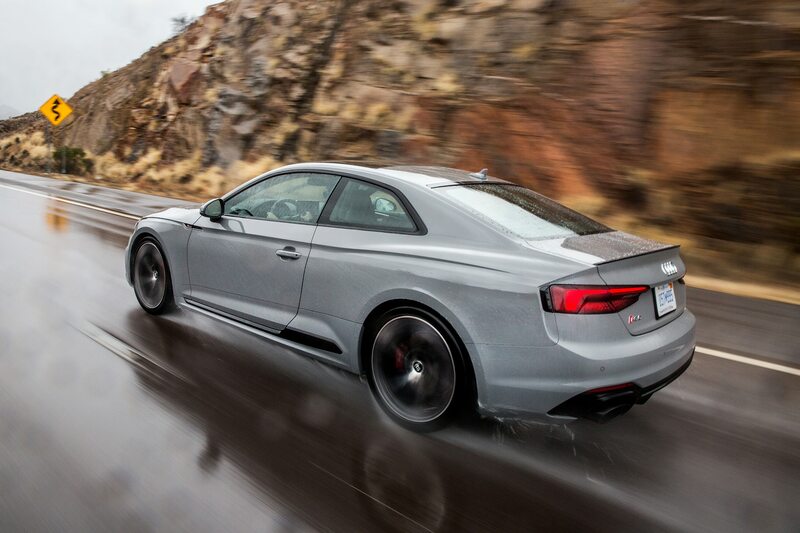 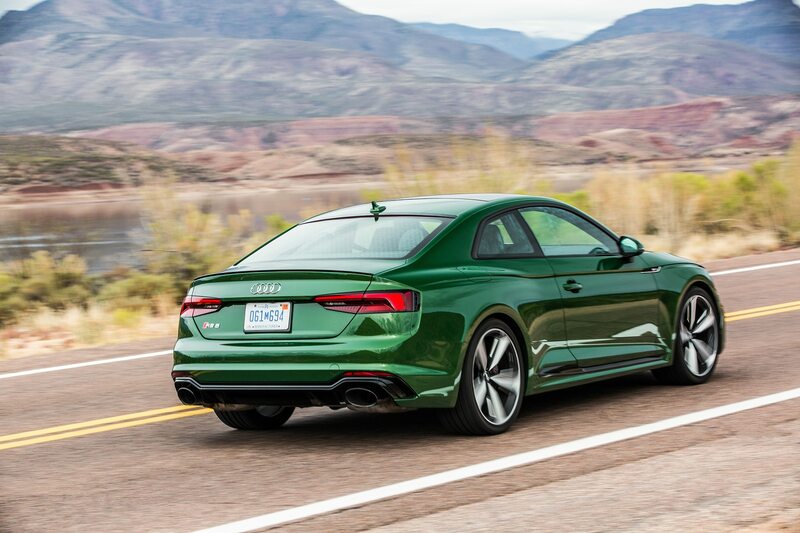 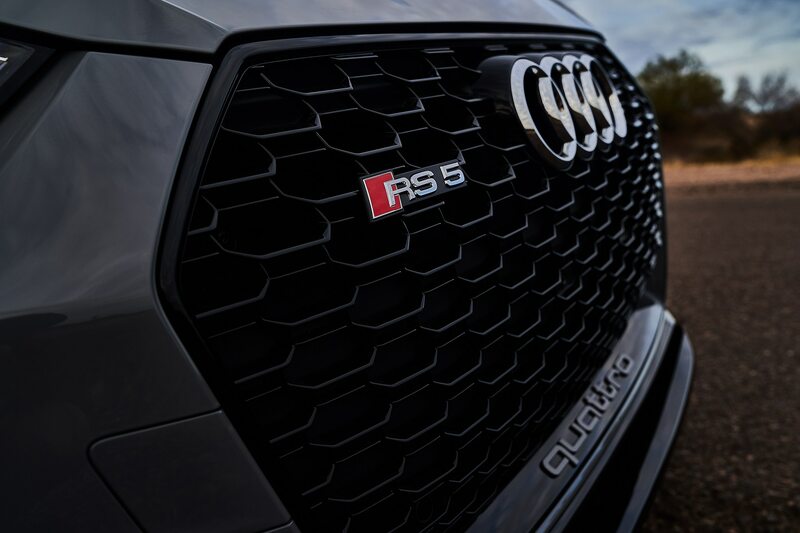 On the high-performance end of the spectrum are the new 2018 Audi RS 5 Coupe and 2019 RS 5 Sportback, both powered by a 2.9-liter twin-turbo V-6 with 444 horsepower mated to an eight-speed automatic, along with a rear-biased, RS-tuned Quattro system and an Audi Sport rear differential. 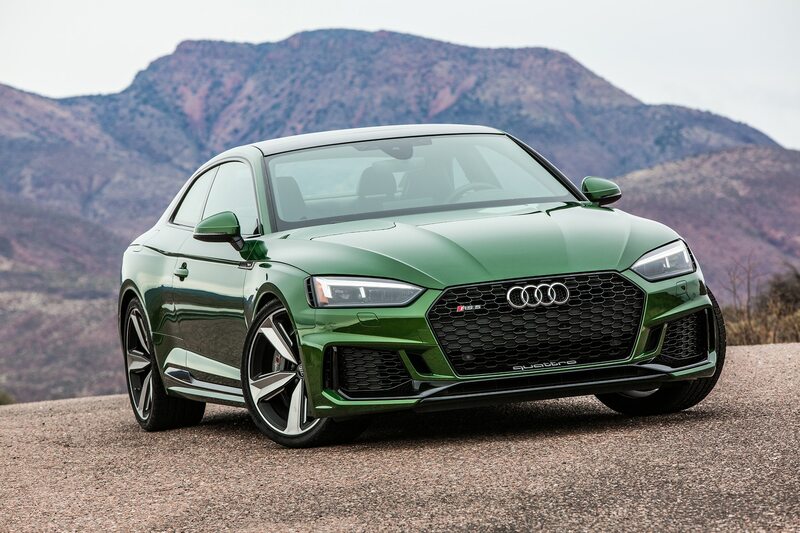 This is solid stuff, as we learned earlier this year during our drive of the RS 5 Coupe, which starts in the low $70,000 range. 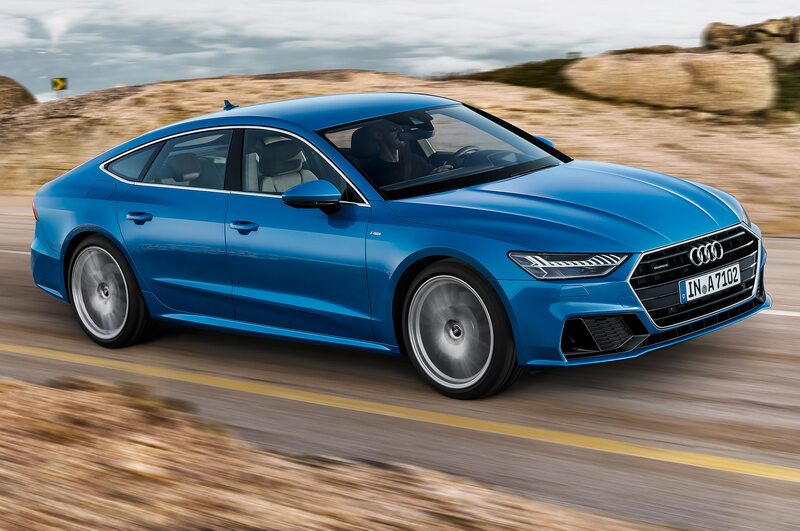 The Sportback will be here by the end of 2018.